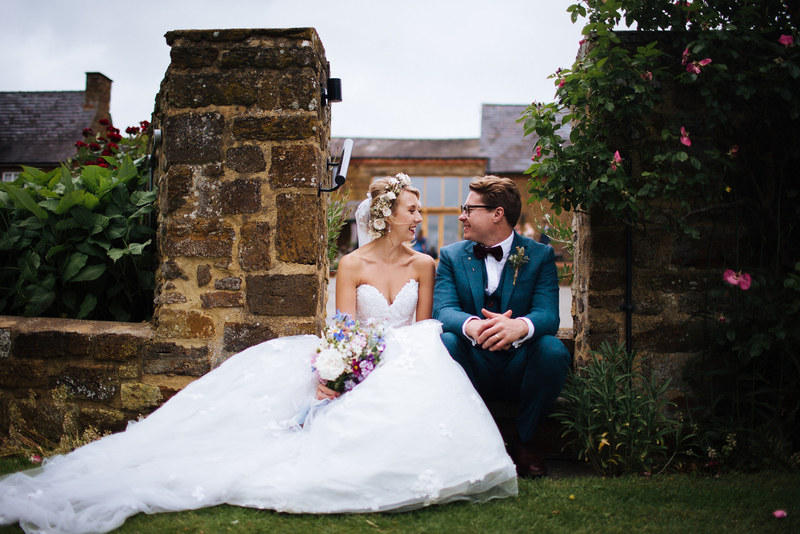 Beautiful bride Bex and her handsome groom Dan who live and work in London decided to return to her home county of Northamptonshire for their wedding celebrations. 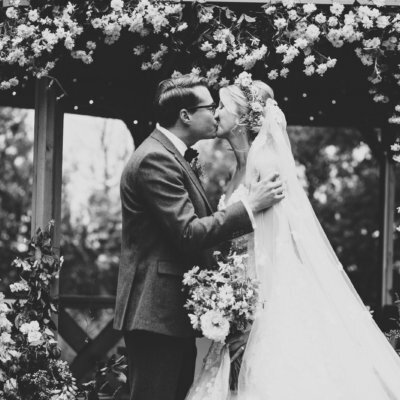 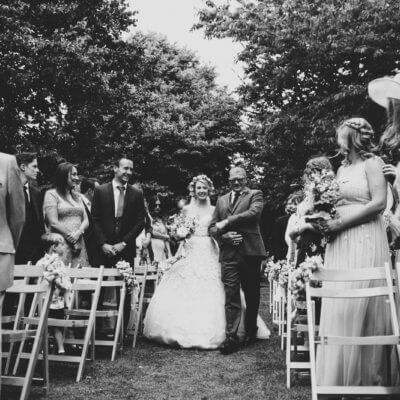 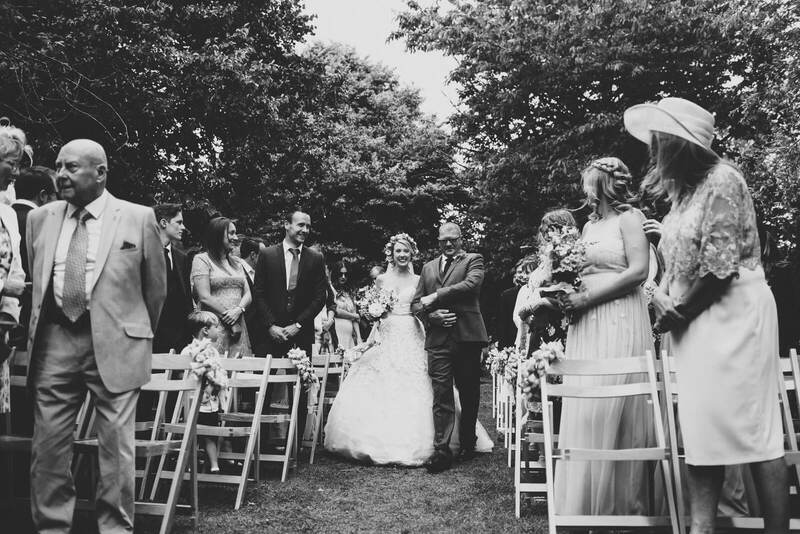 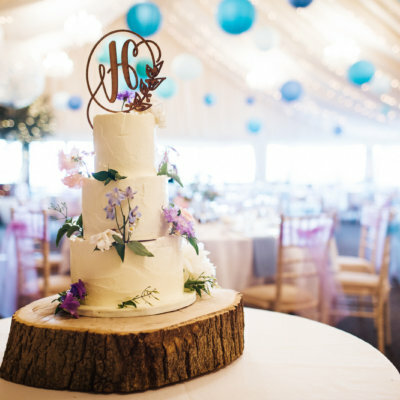 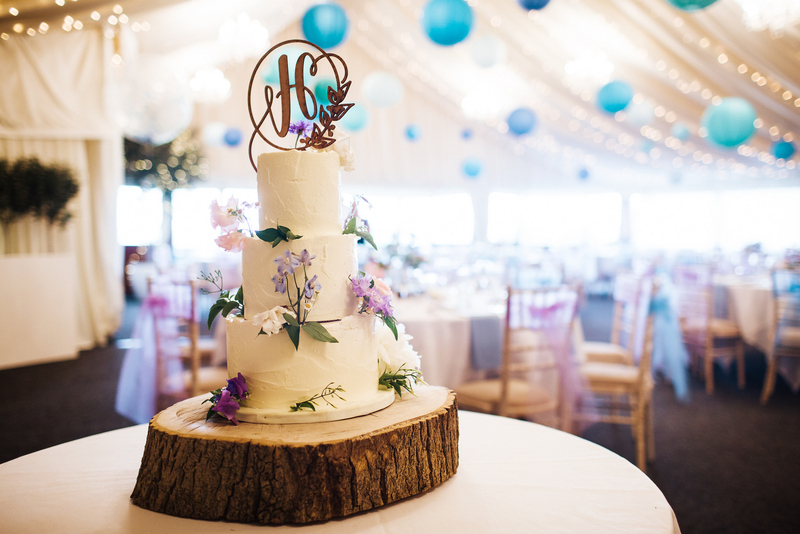 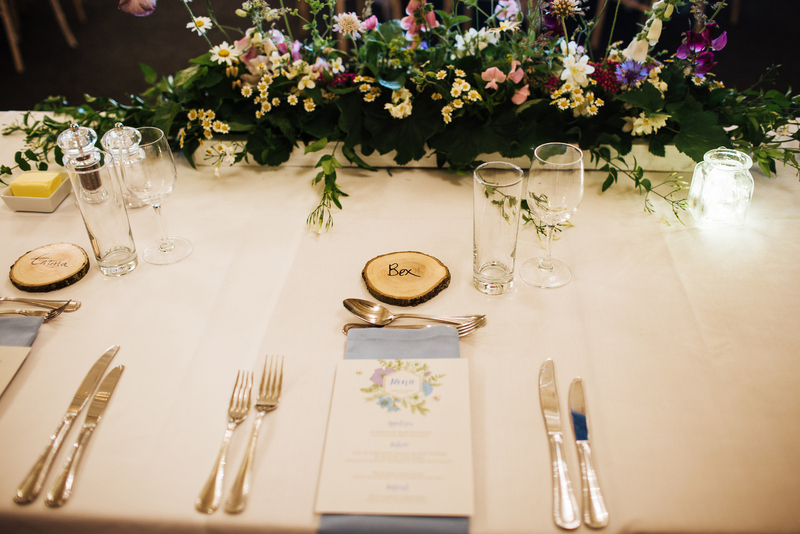 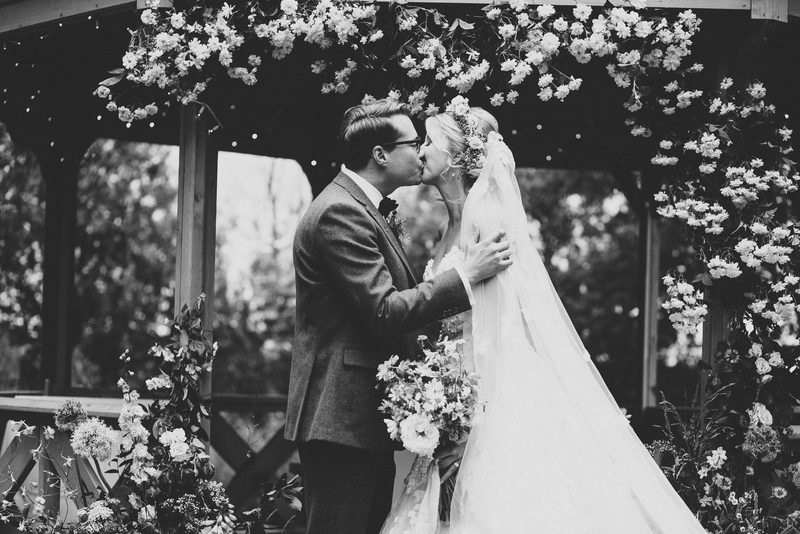 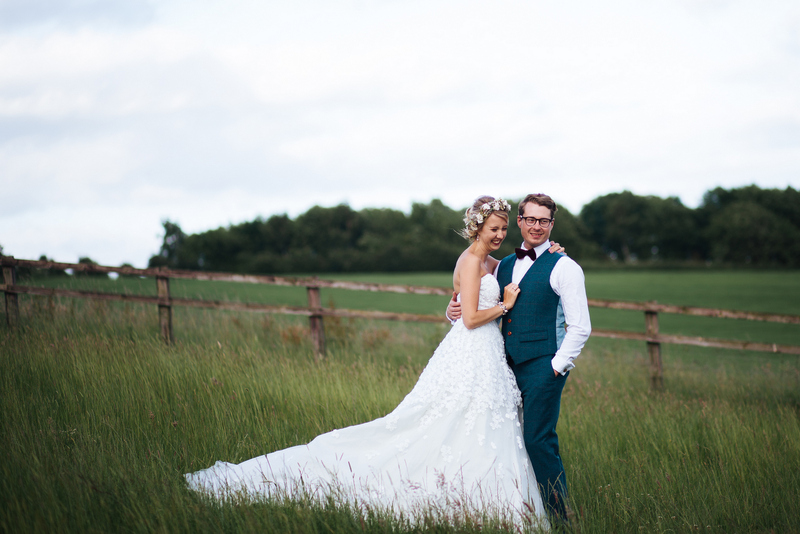 The day was full of personal touches and the couple used local suppliers wherever they could. 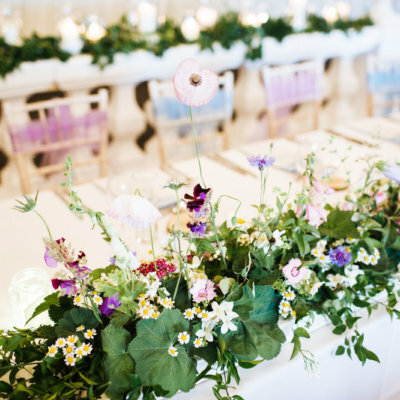 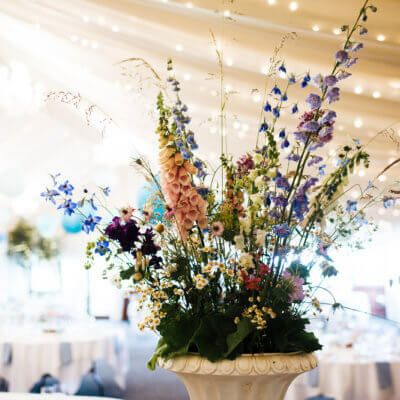 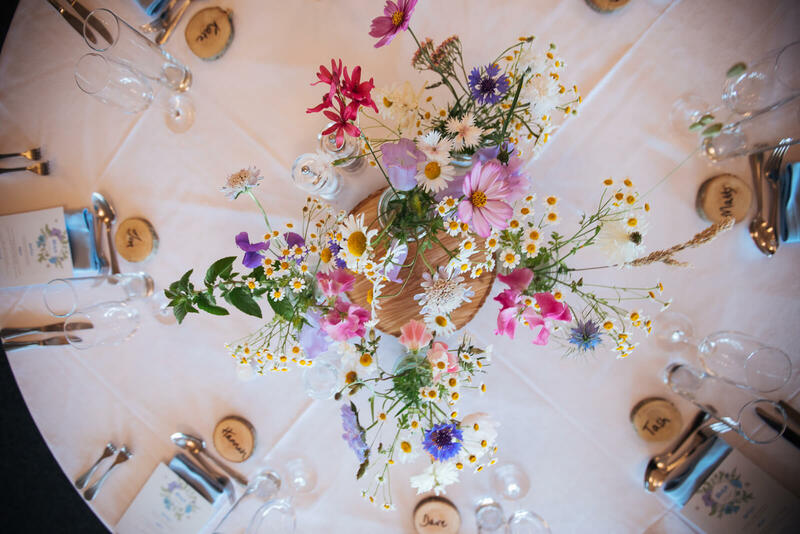 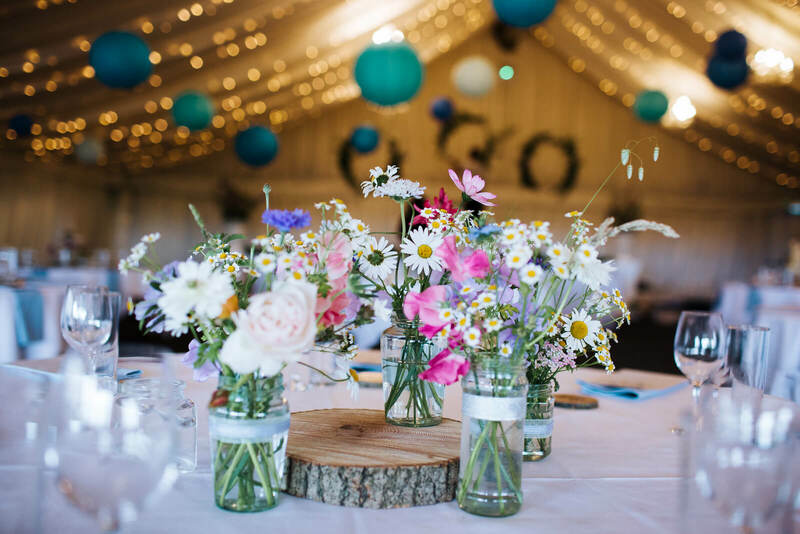 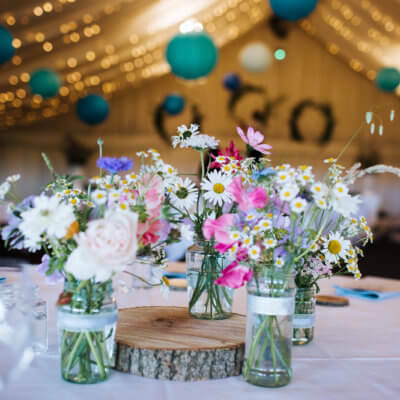 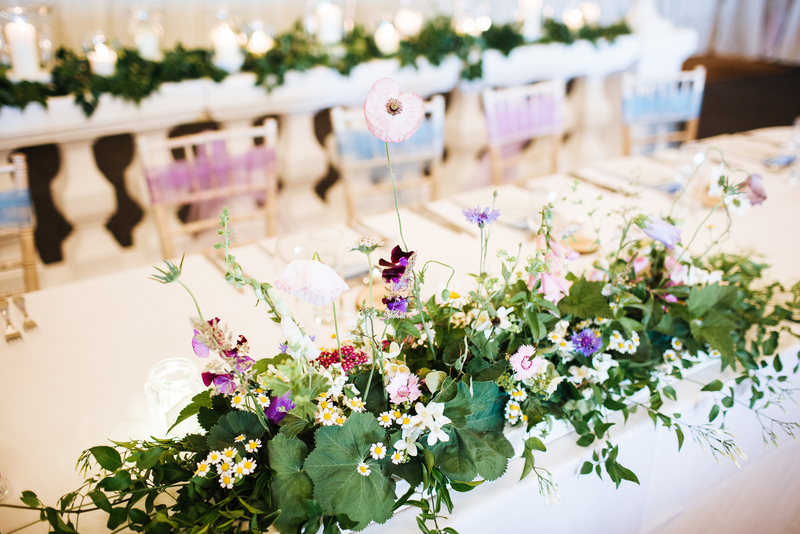 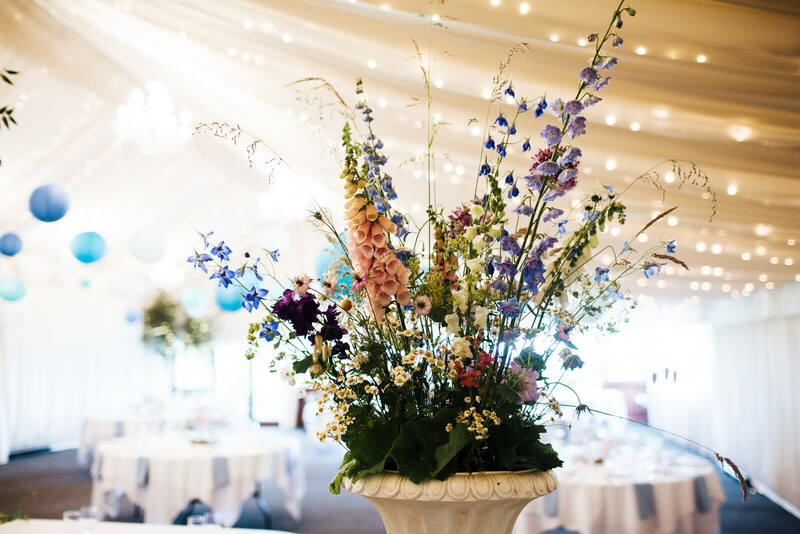 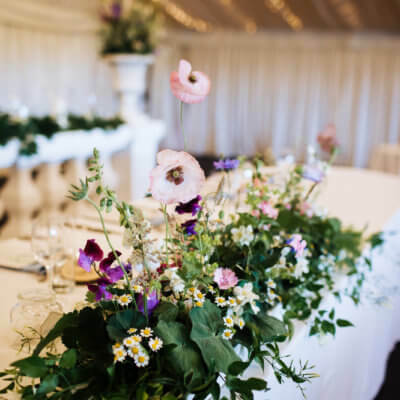 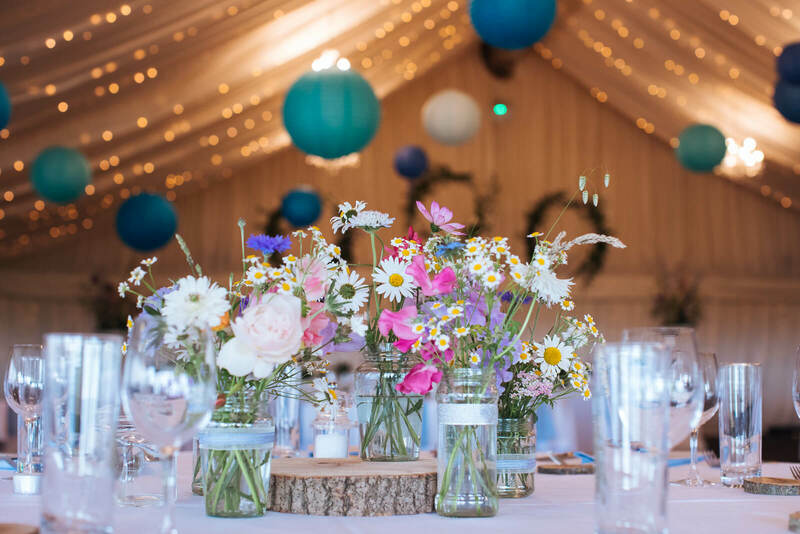 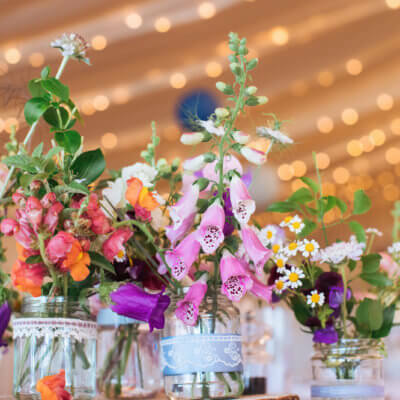 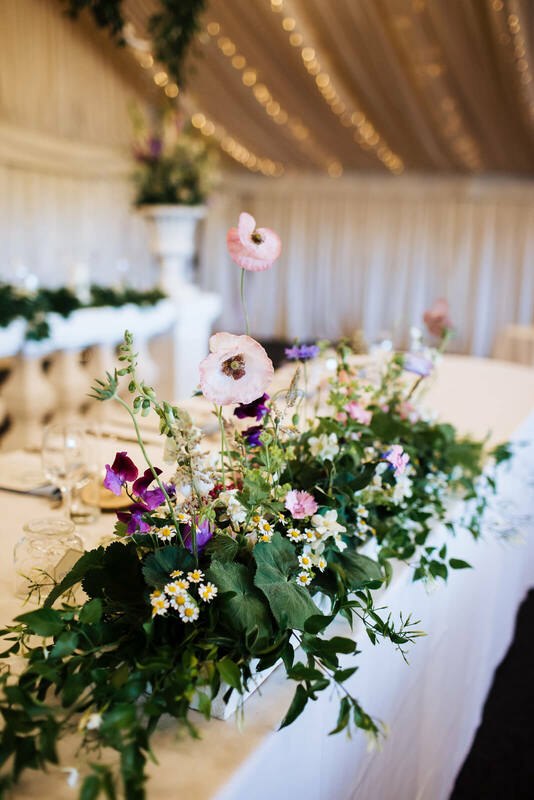 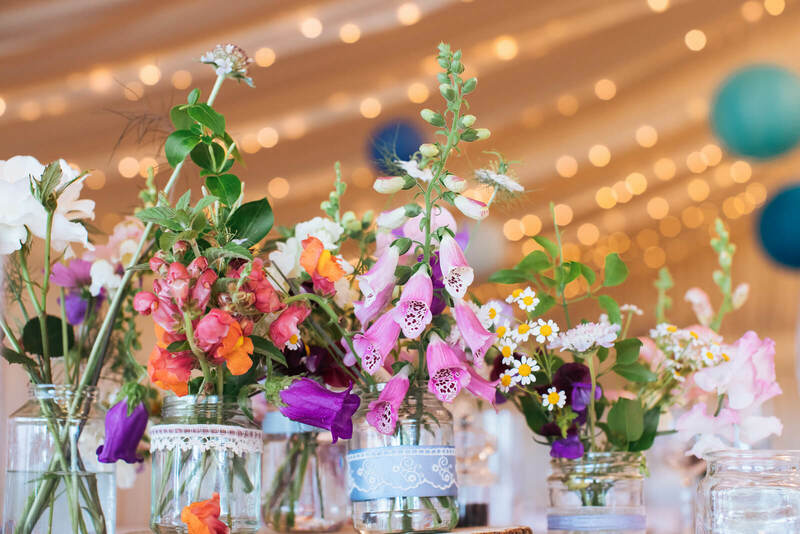 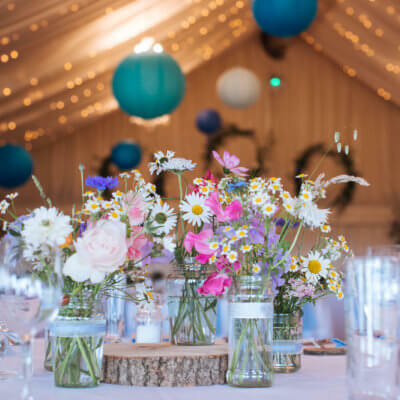 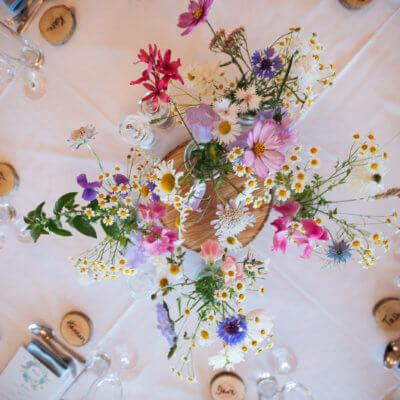 The marquee was laden with English country flowers from nearby florist, Stephanie from Me and My Bloomers including sweet peas, cosmos, daisies and delphiniums. 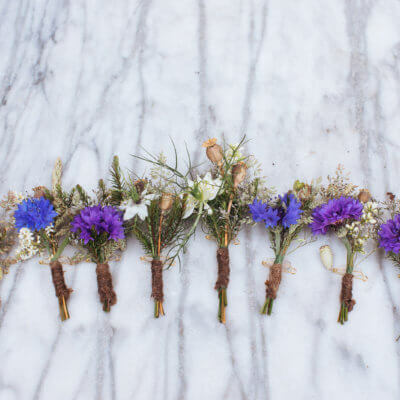 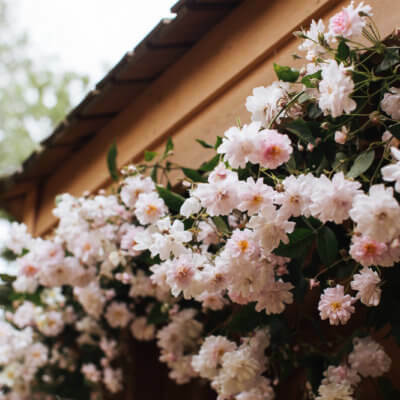 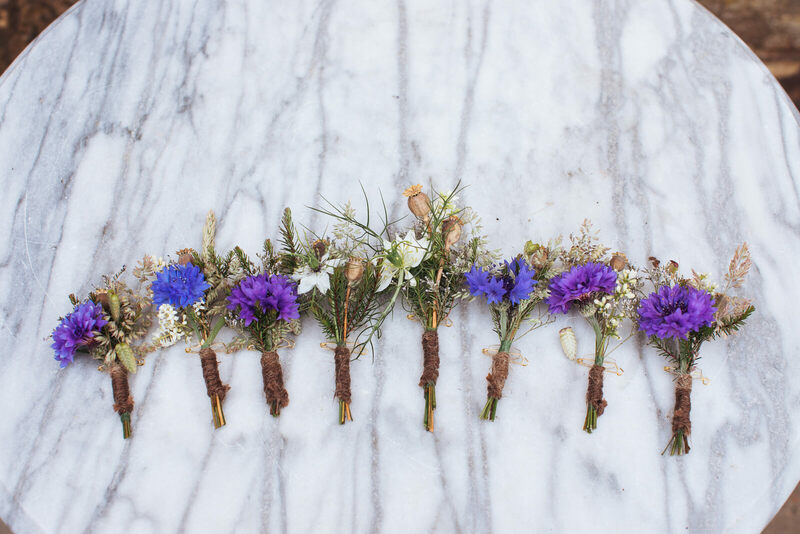 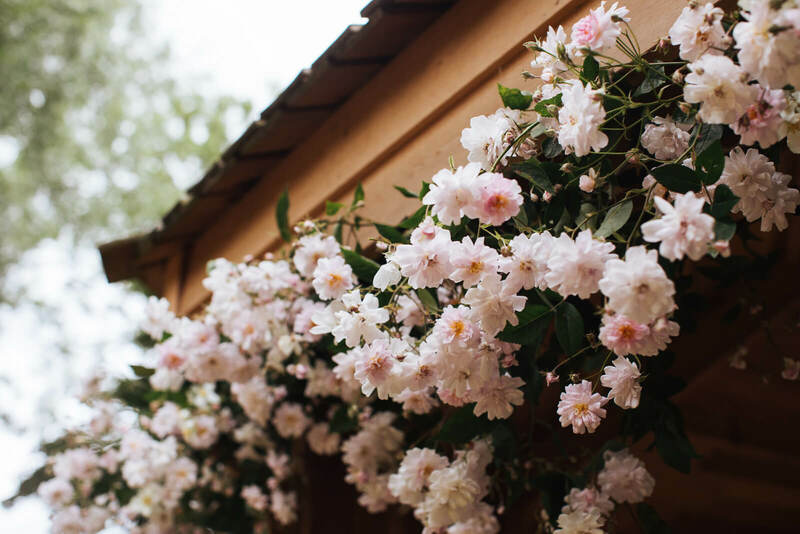 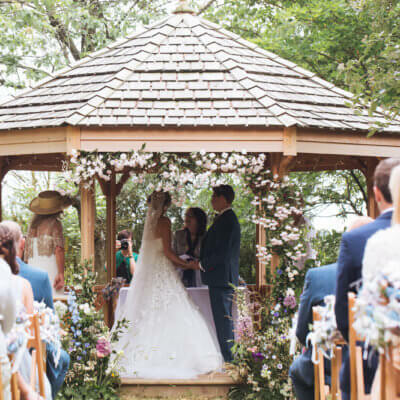 She also decorated the Orchard Pavillion and provided bouquets for the bride and bridesmaids. 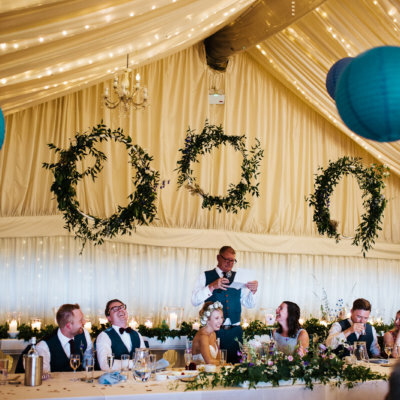 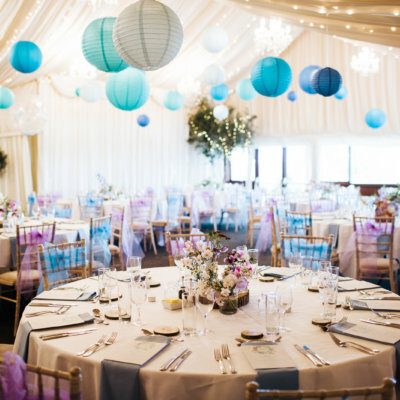 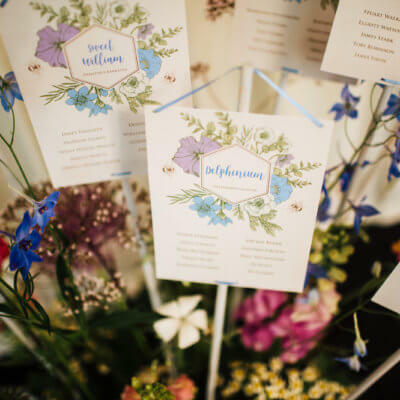 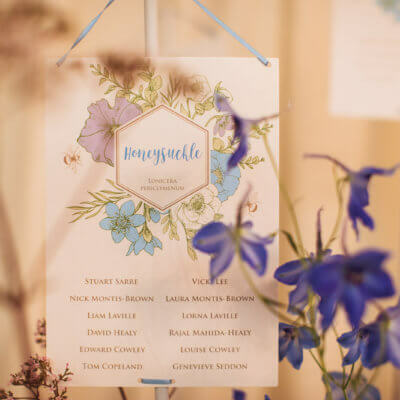 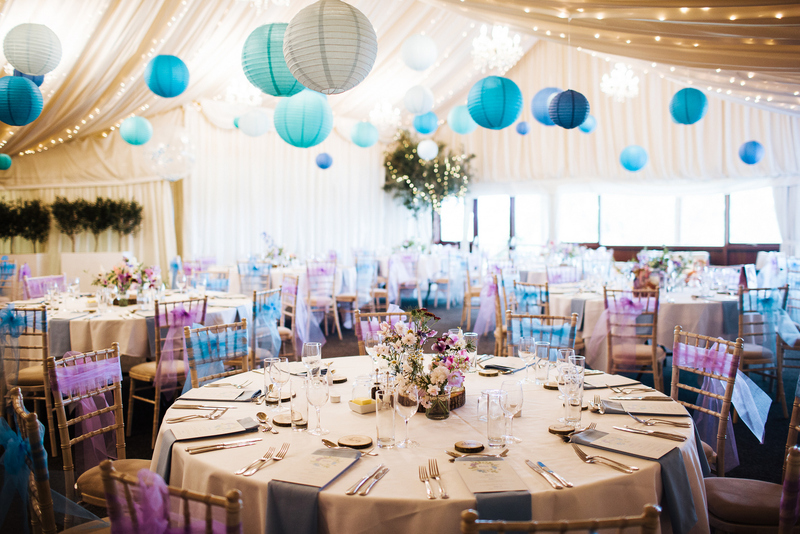 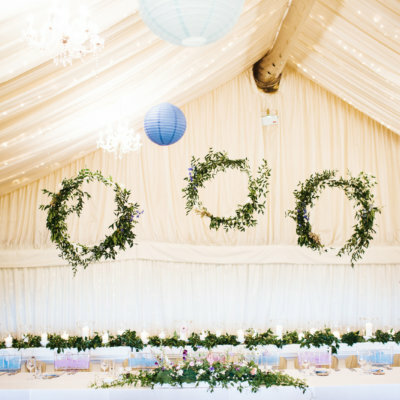 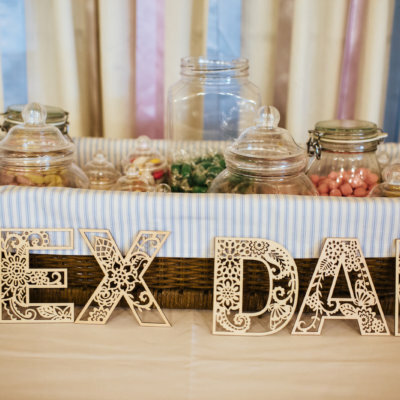 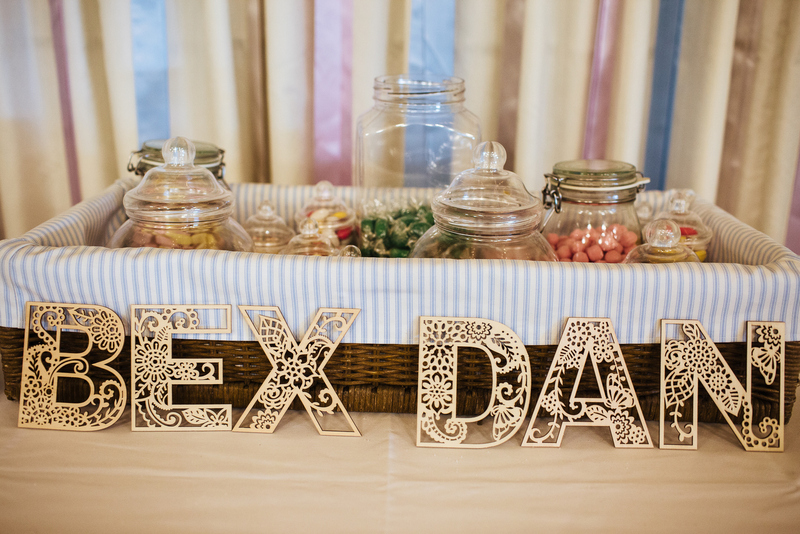 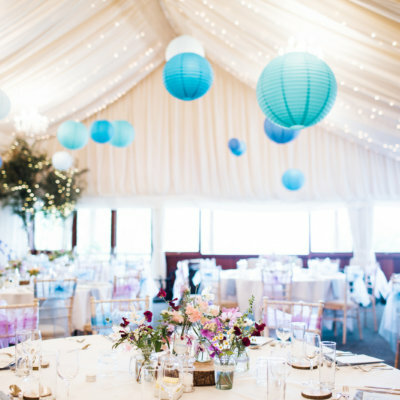 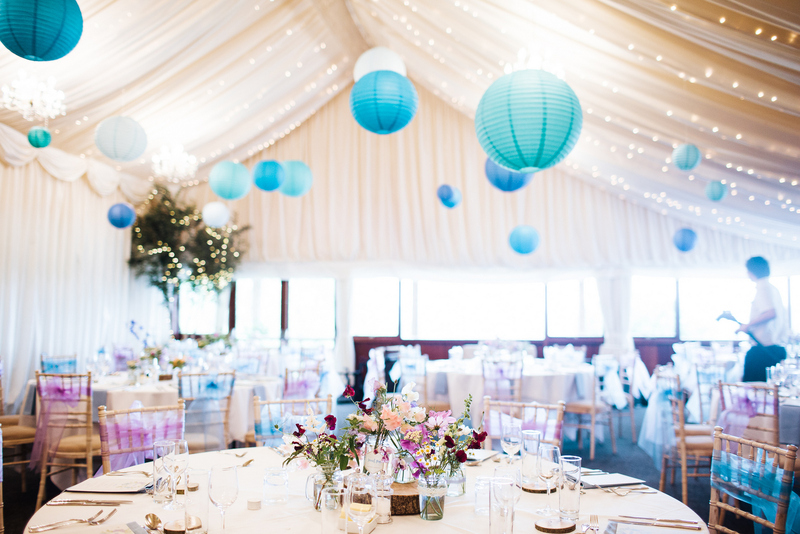 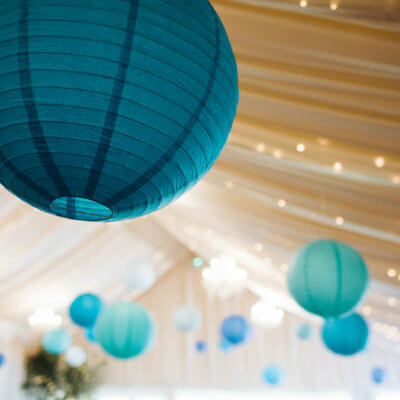 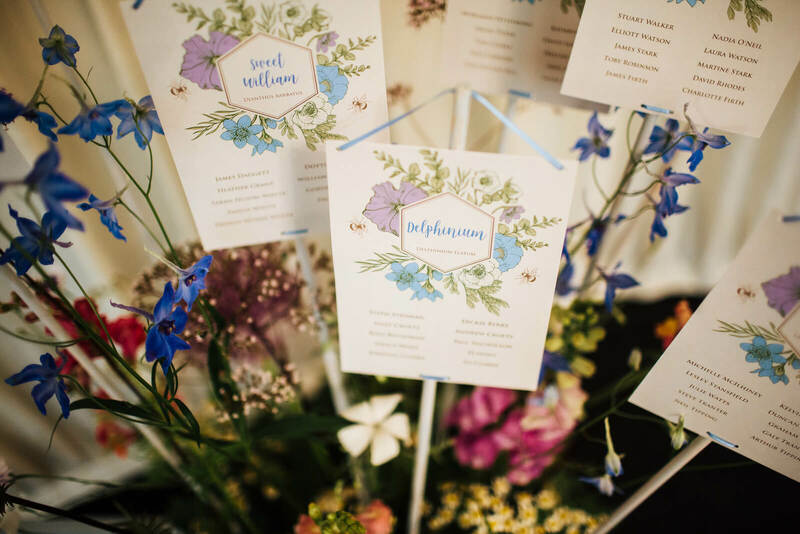 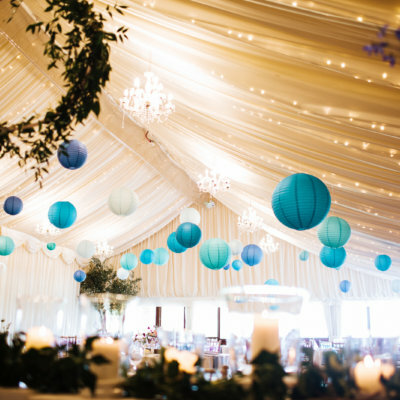 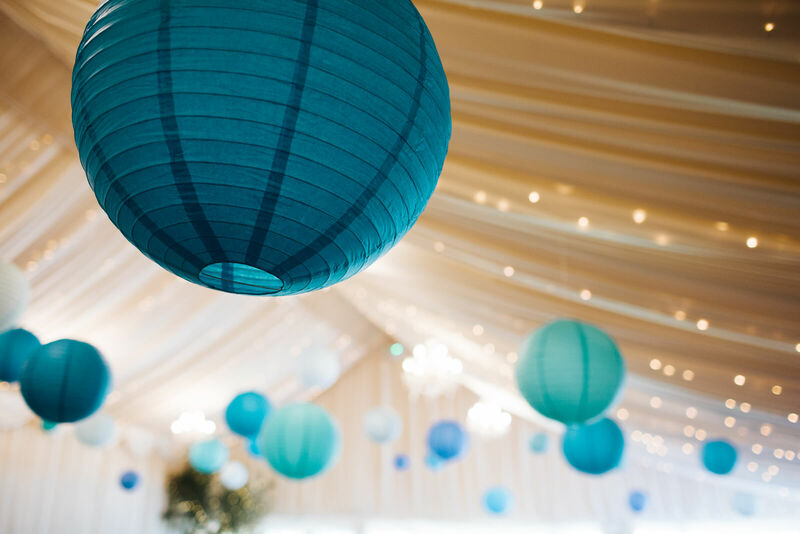 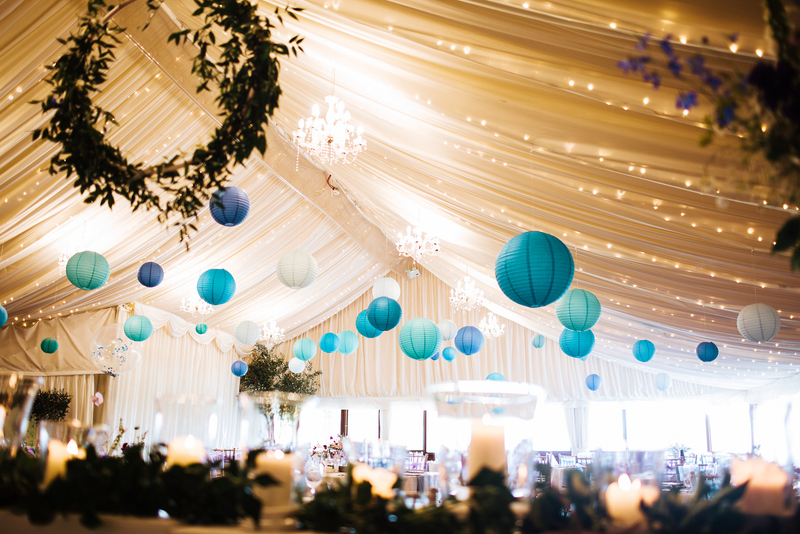 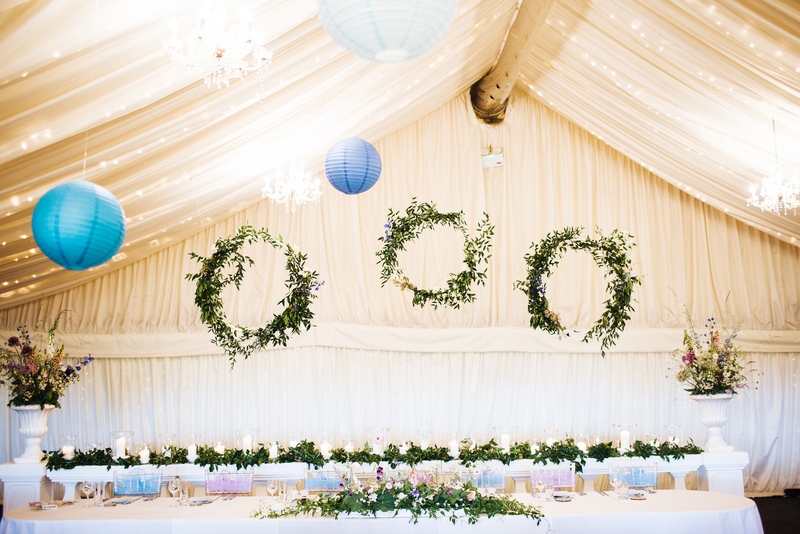 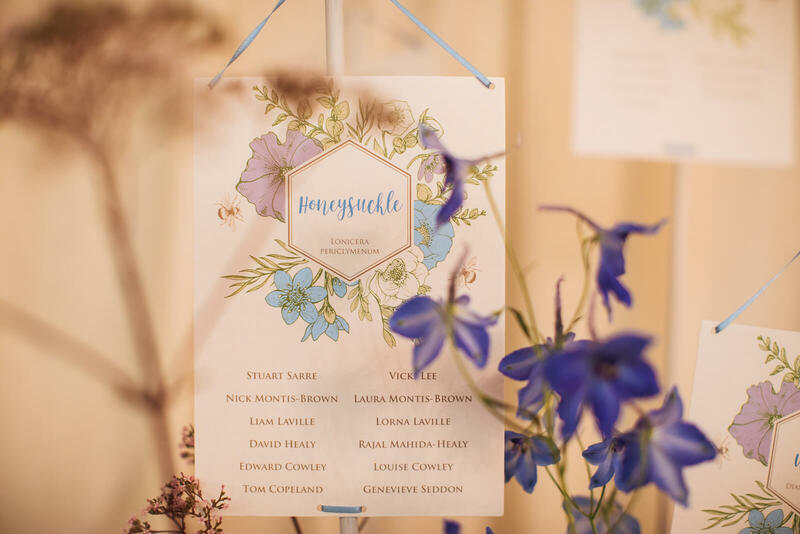 Decorations from Laura provided blue hanging pompoms which complemented the varied colour scheme and Susie Huson designed a logo and colourful stationary for the table names. 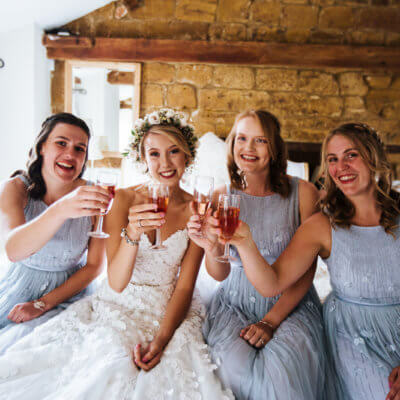 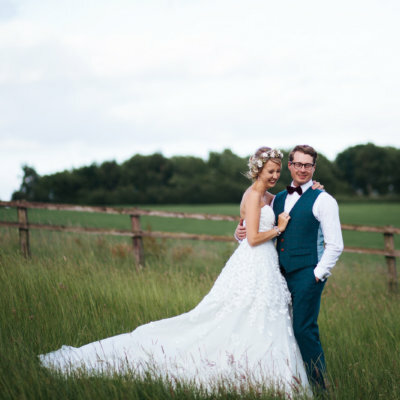 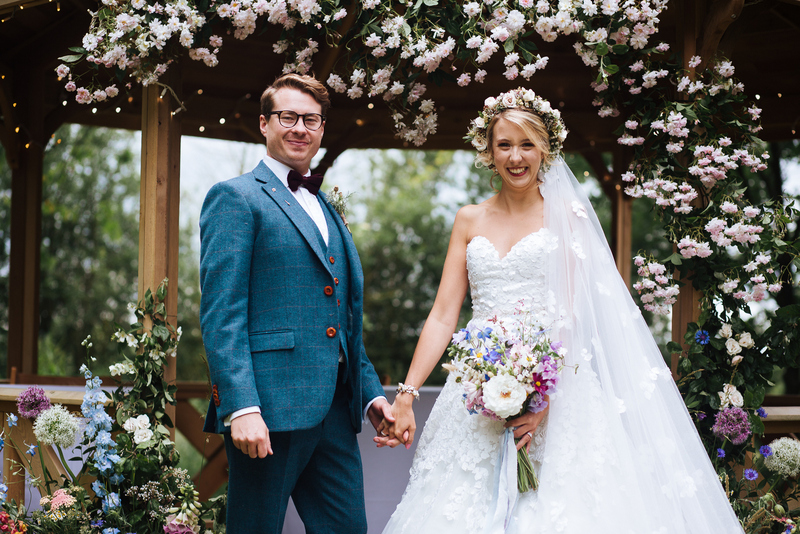 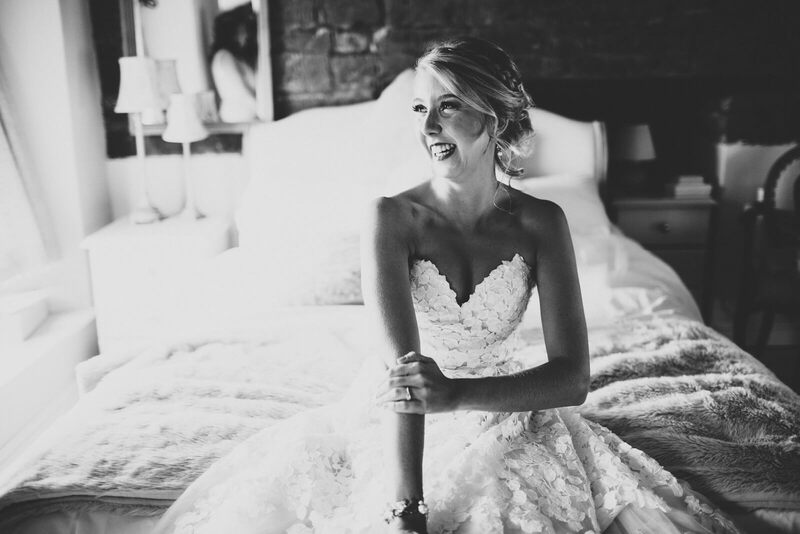 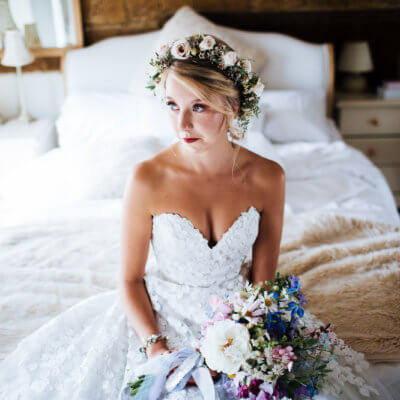 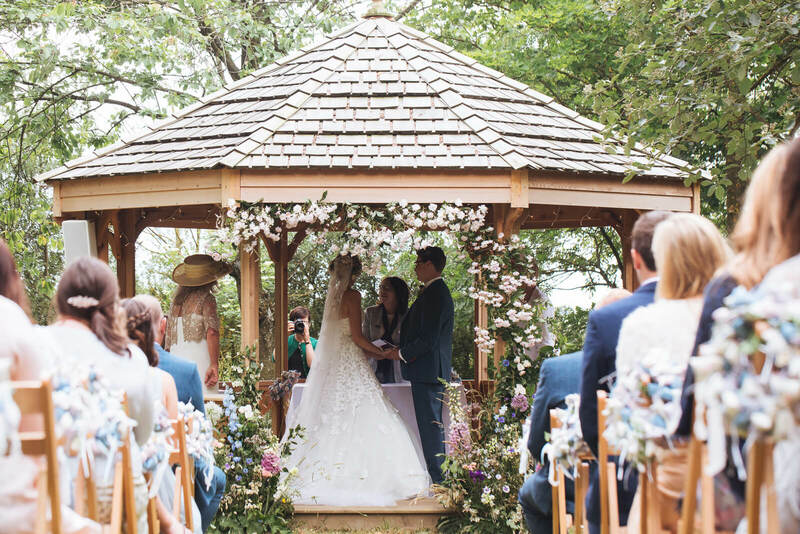 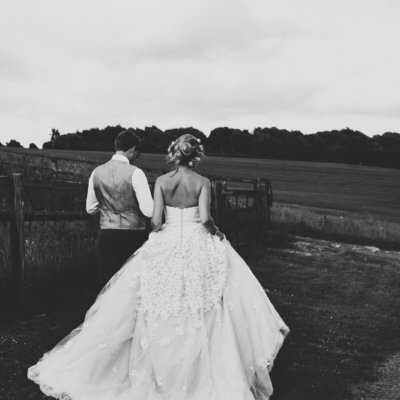 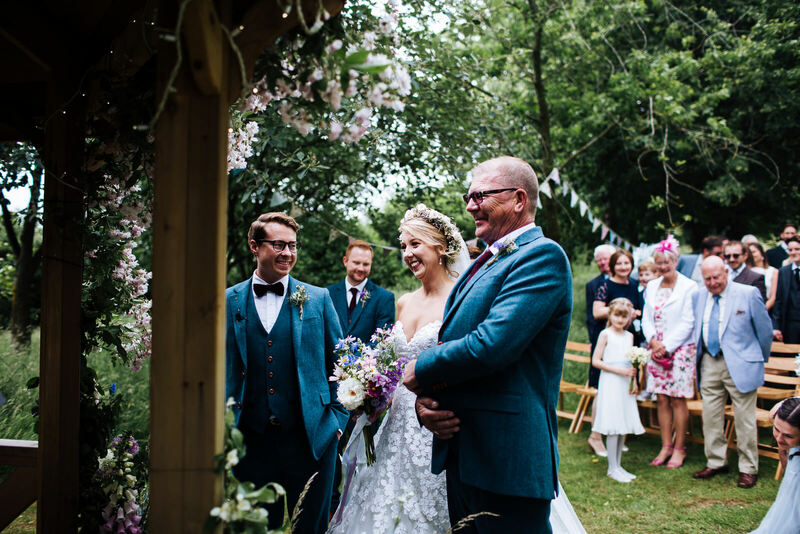 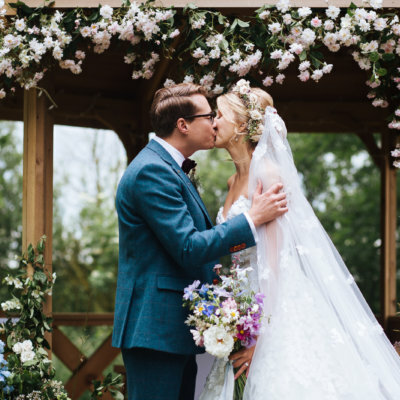 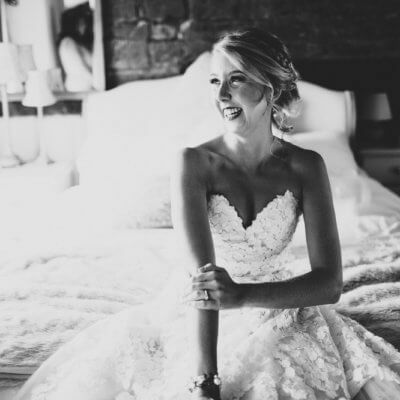 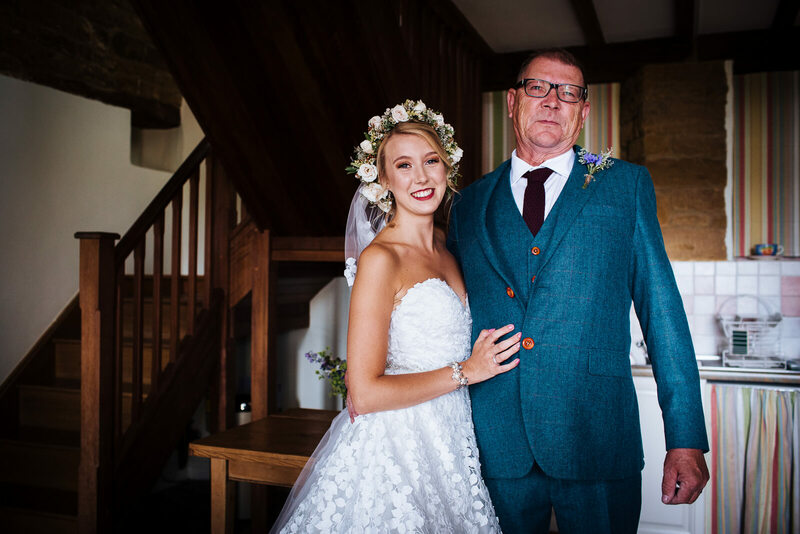 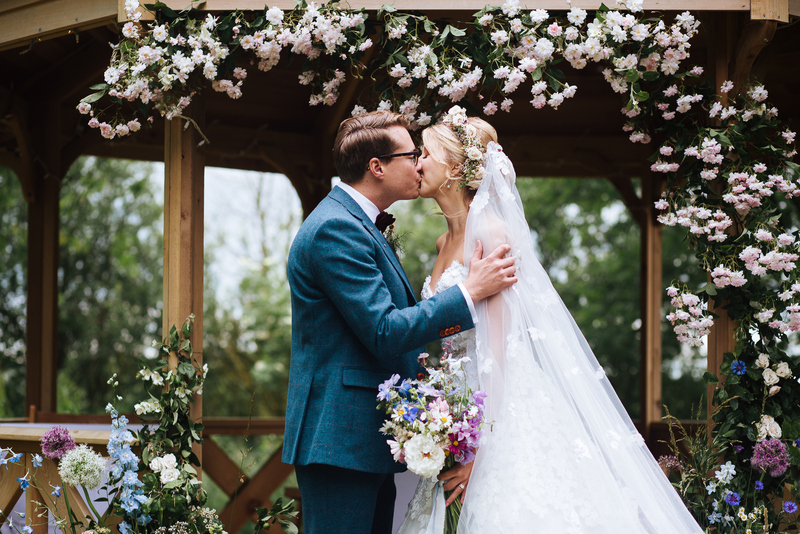 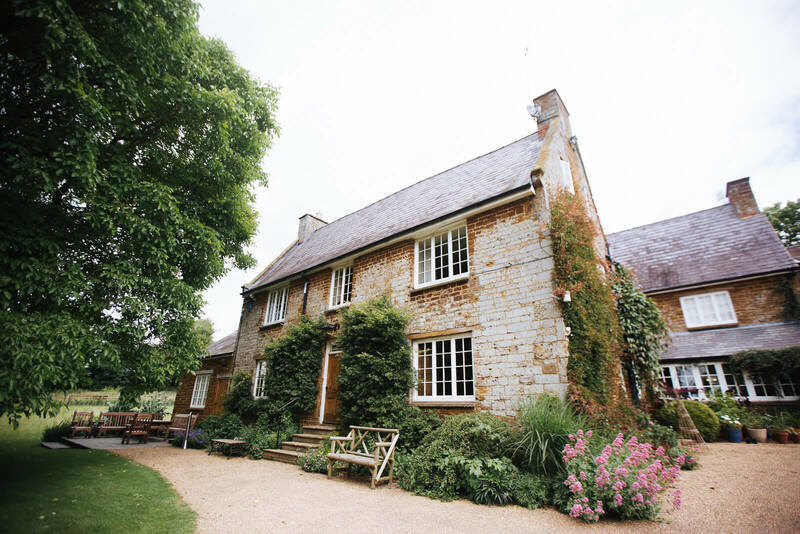 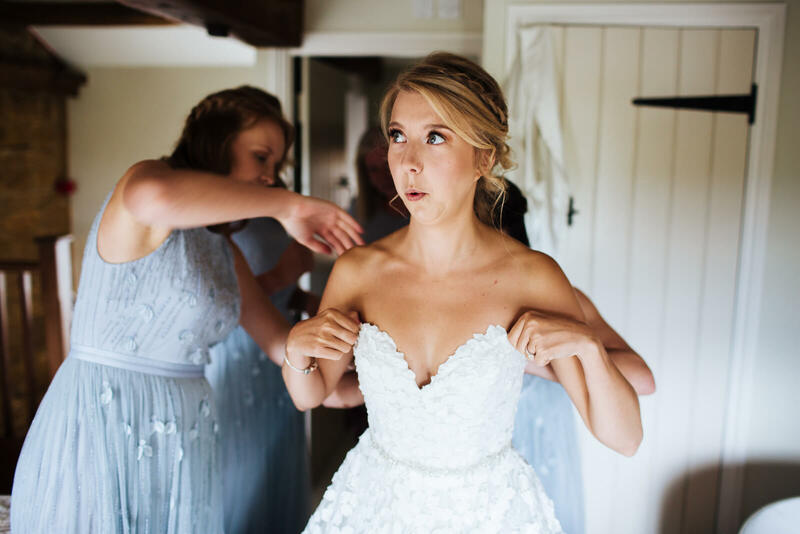 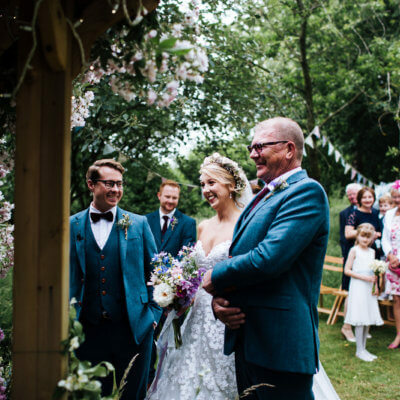 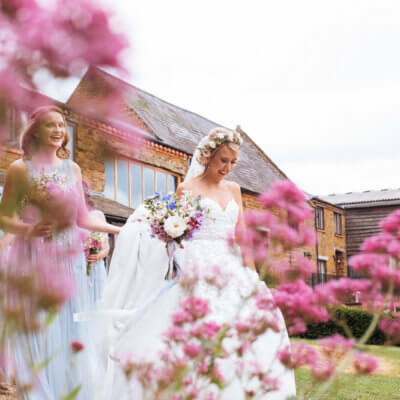 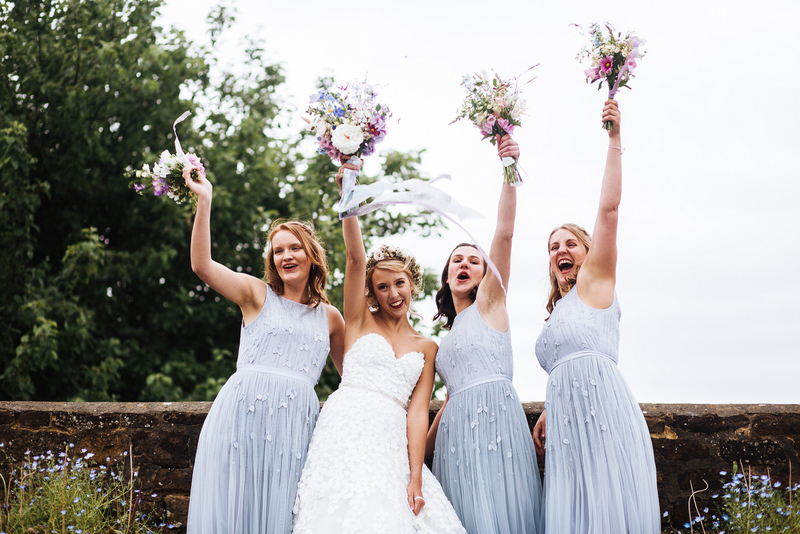 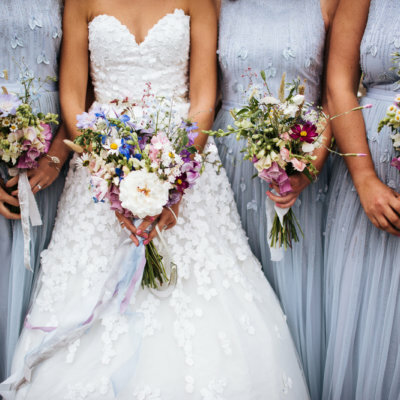 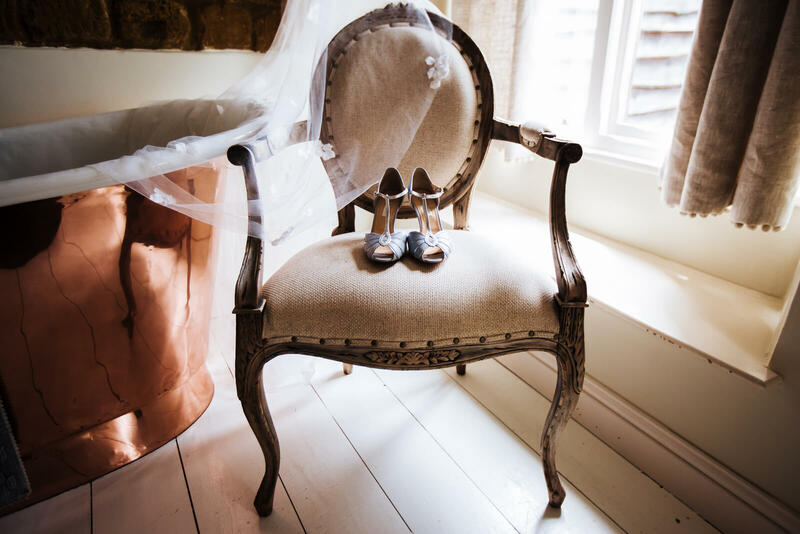 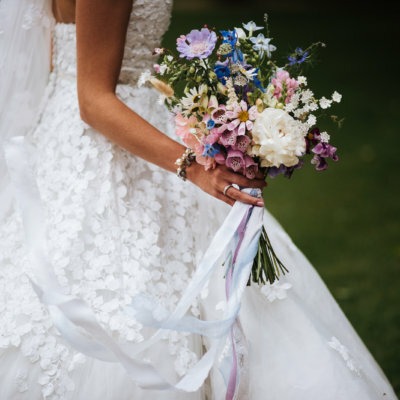 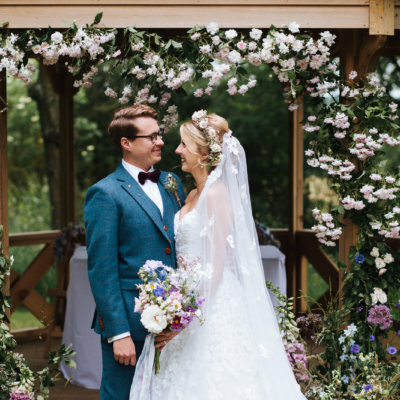 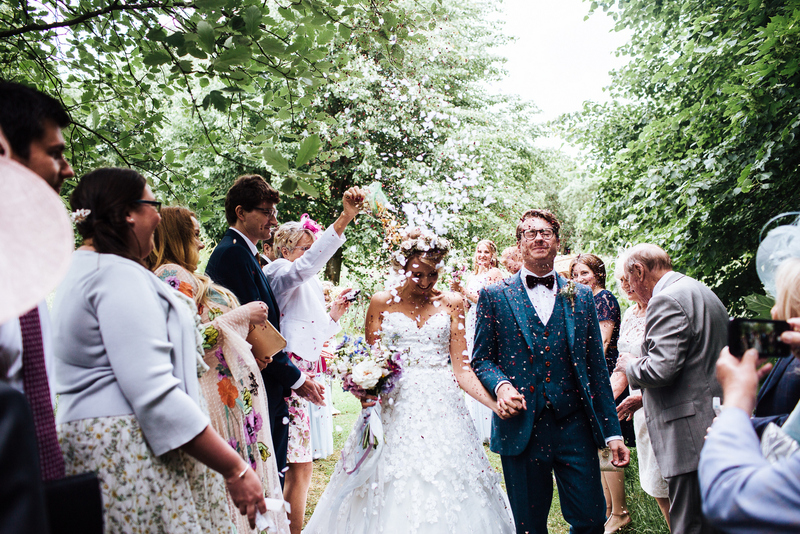 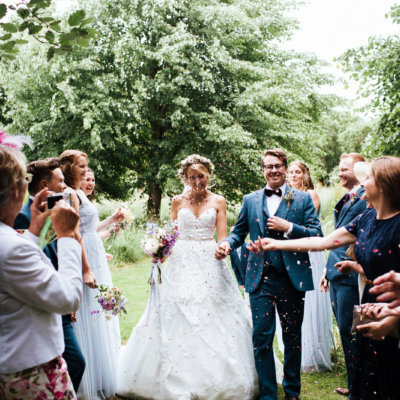 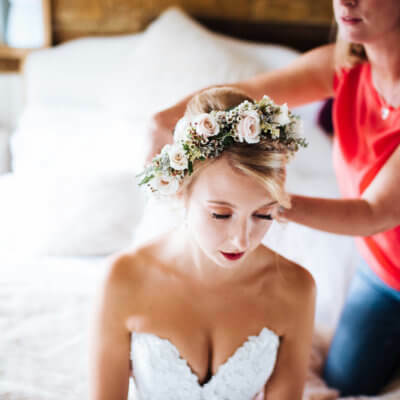 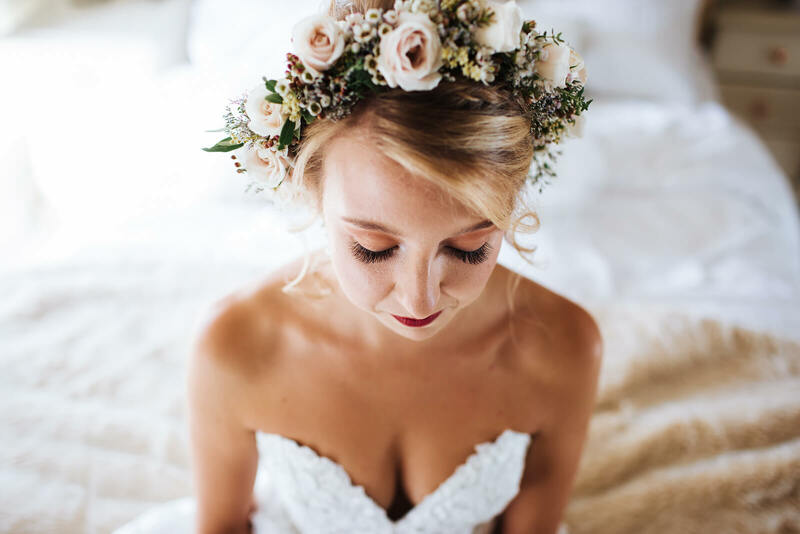 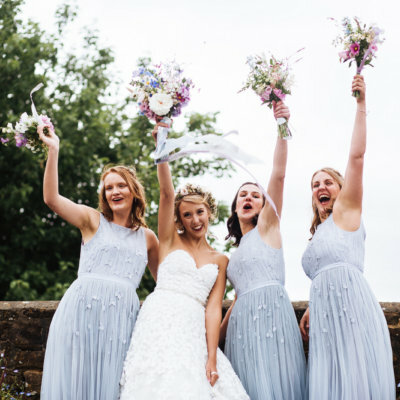 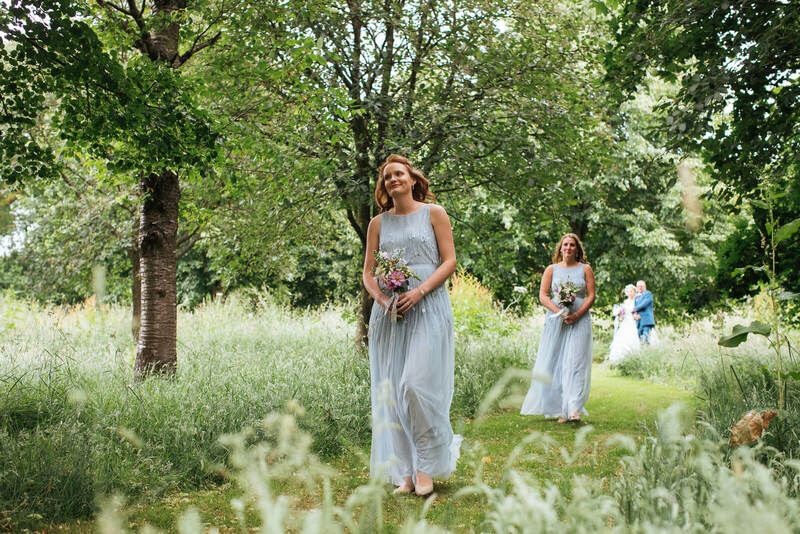 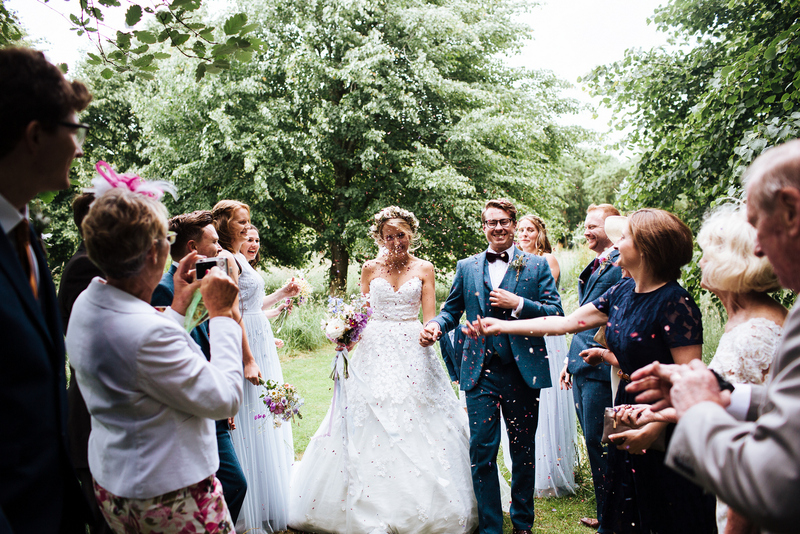 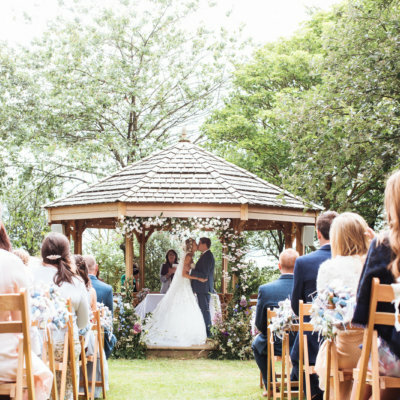 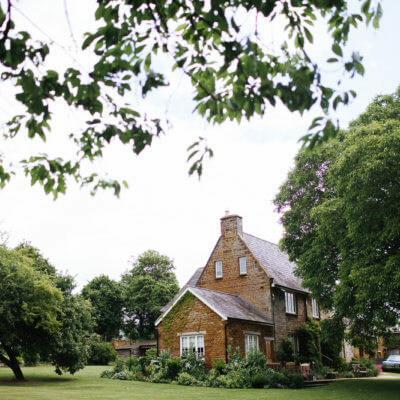 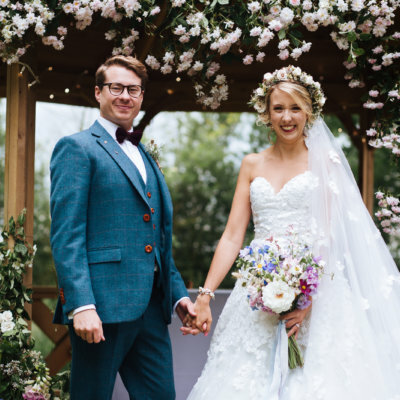 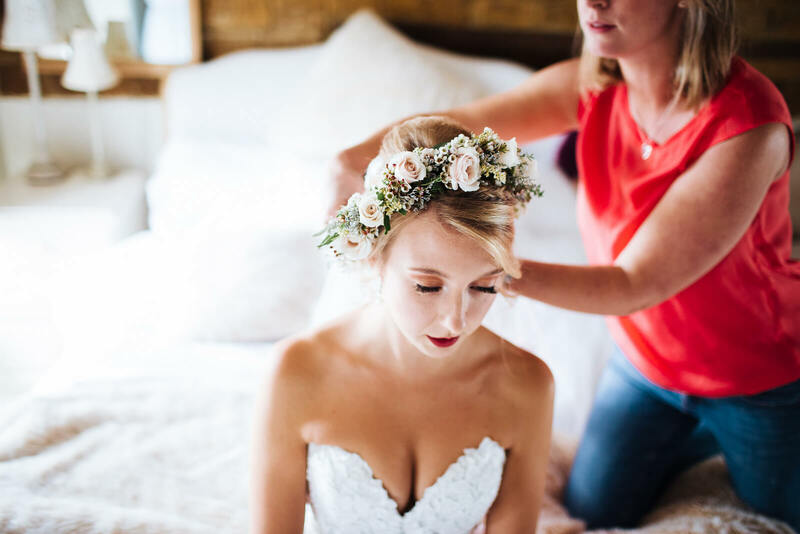 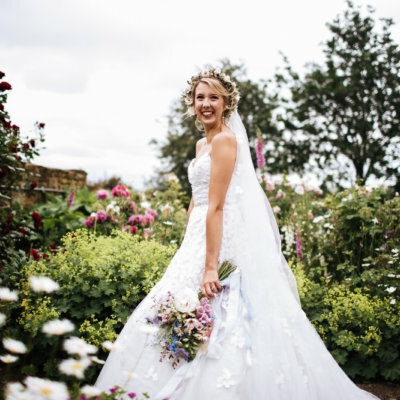 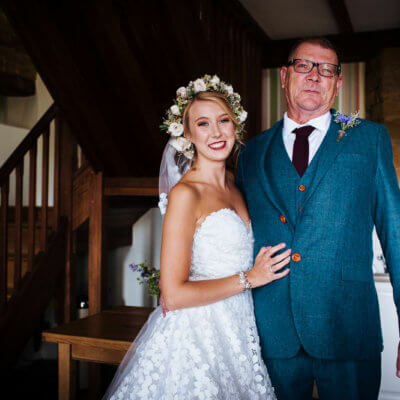 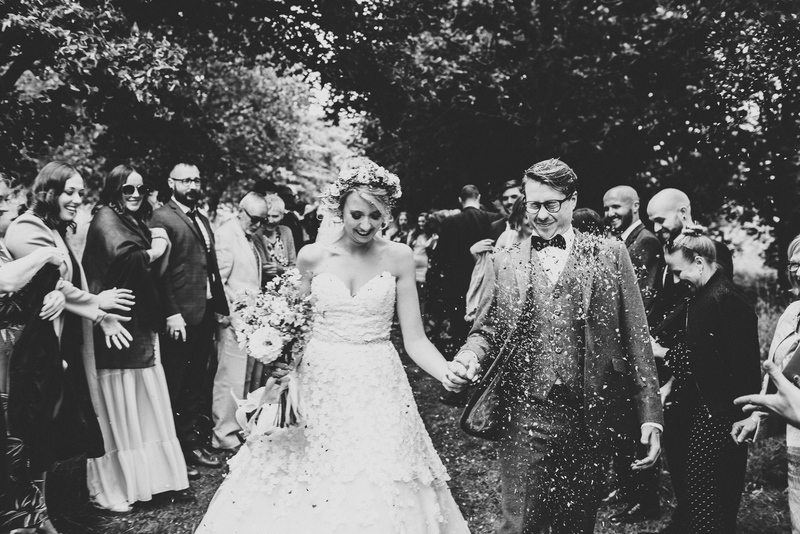 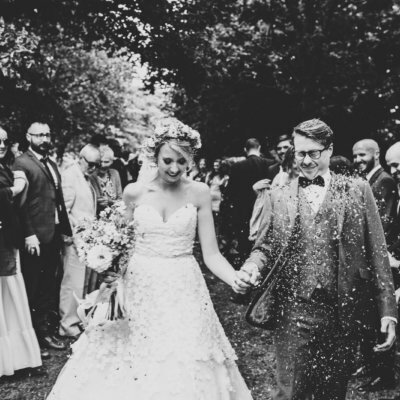 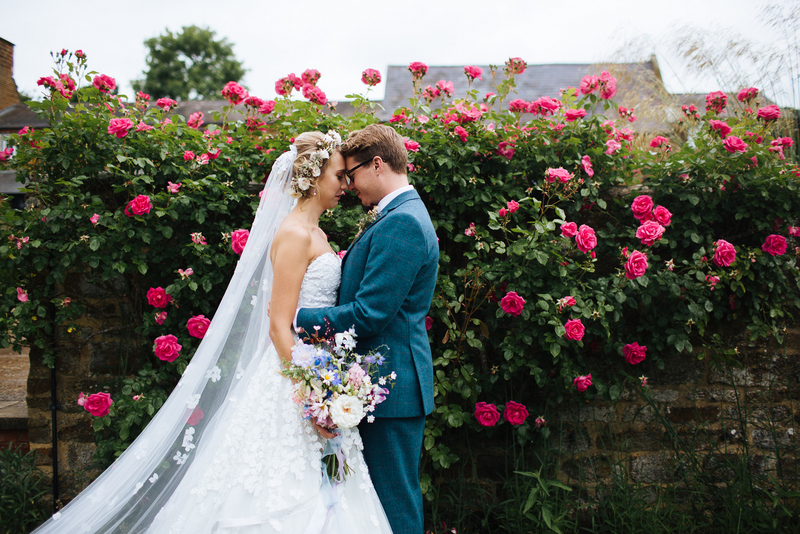 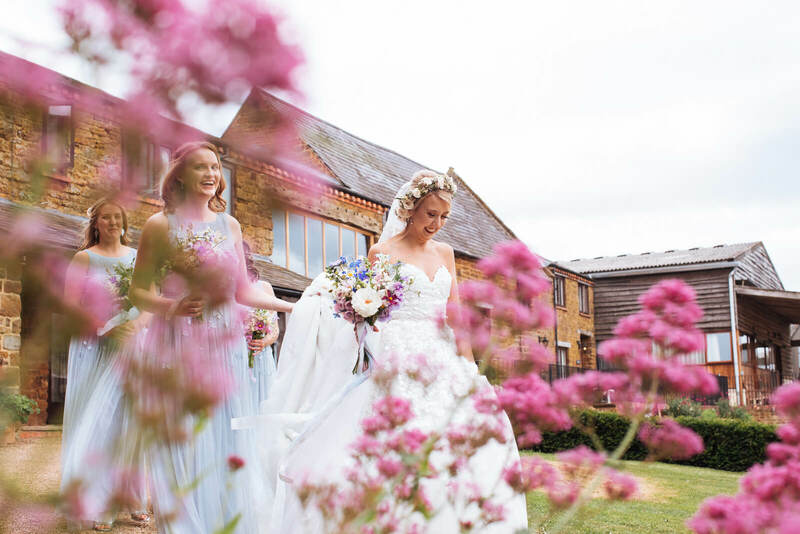 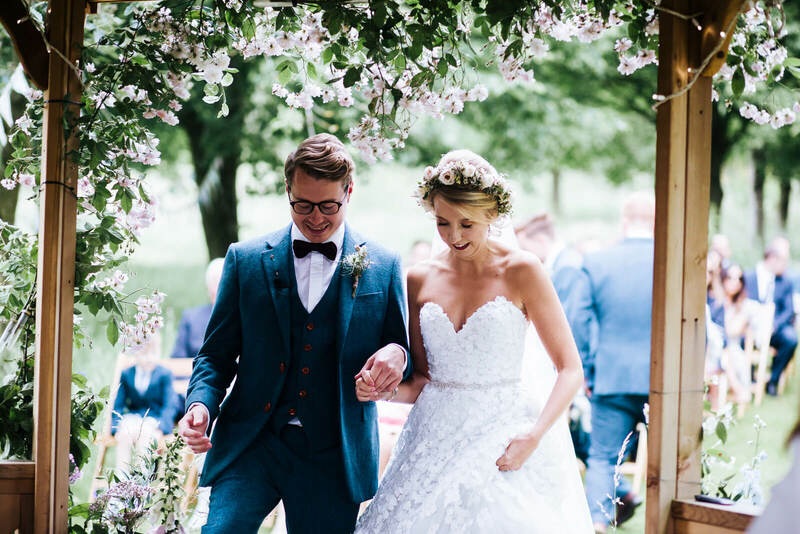 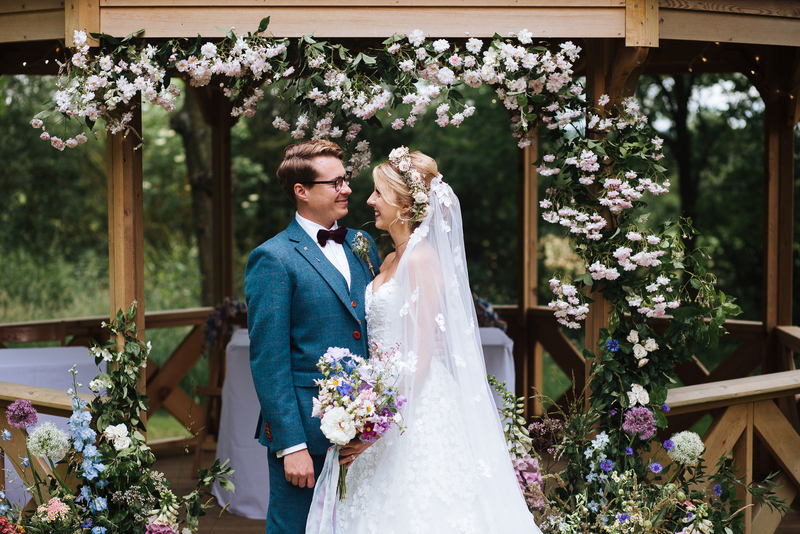 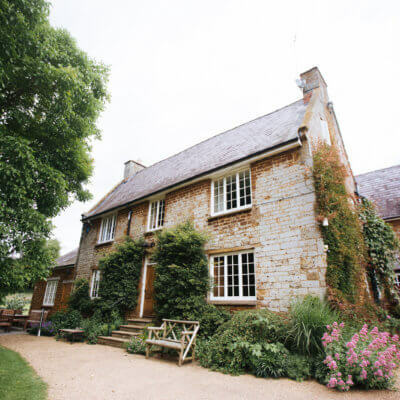 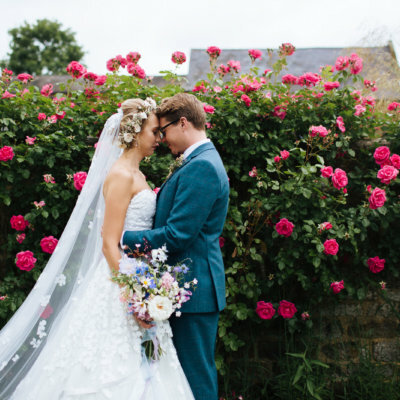 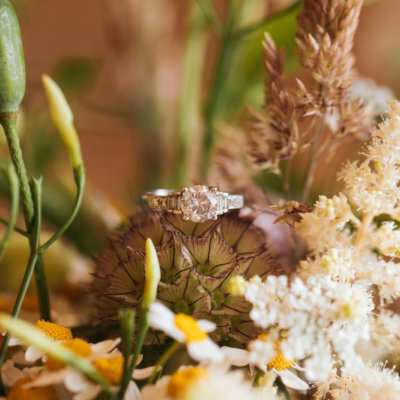 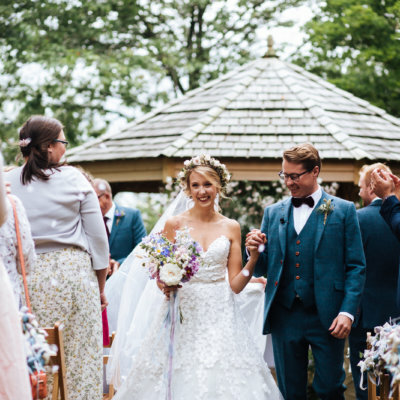 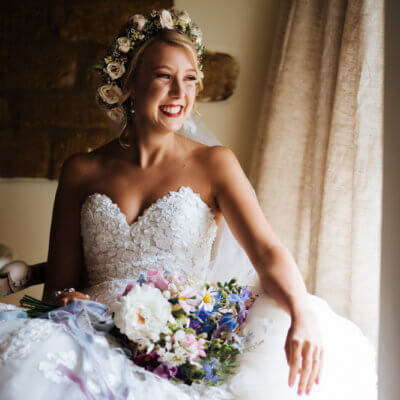 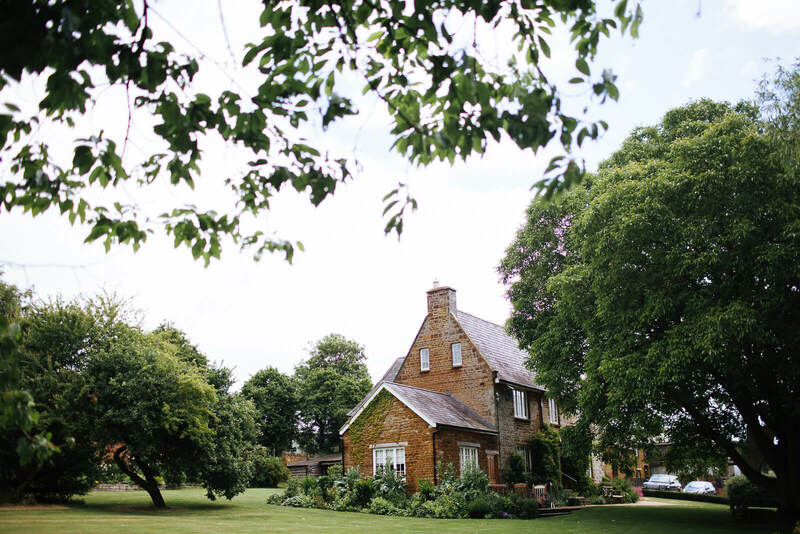 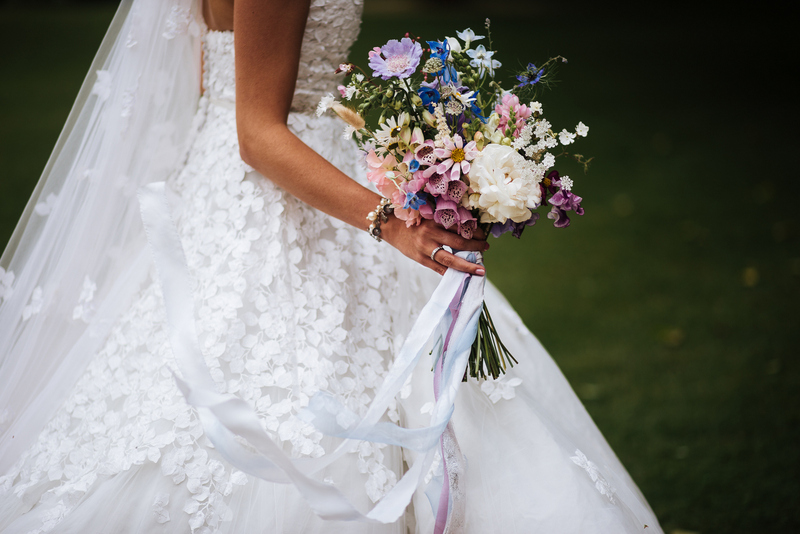 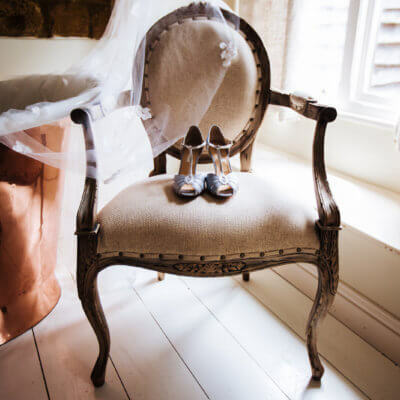 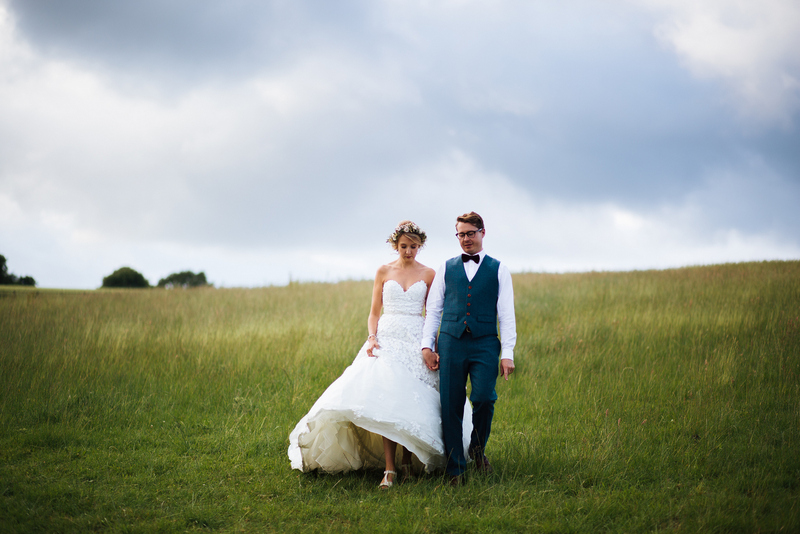 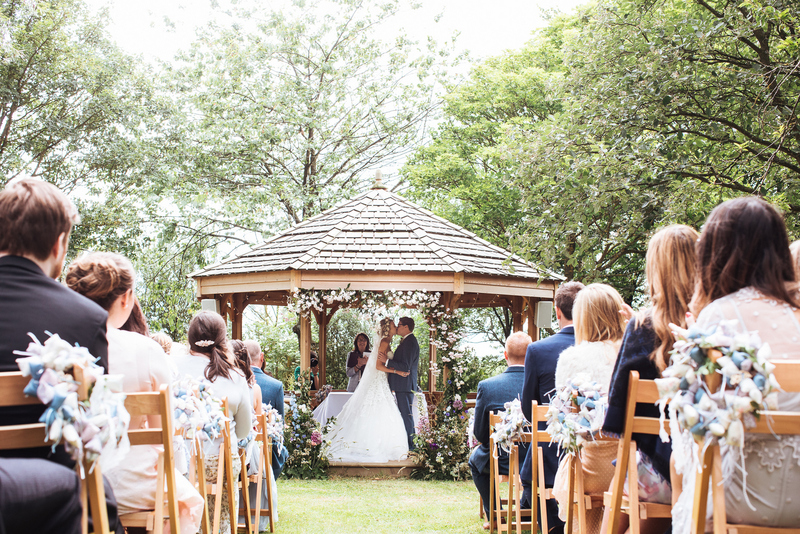 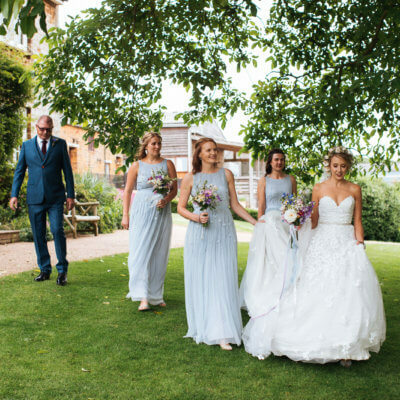 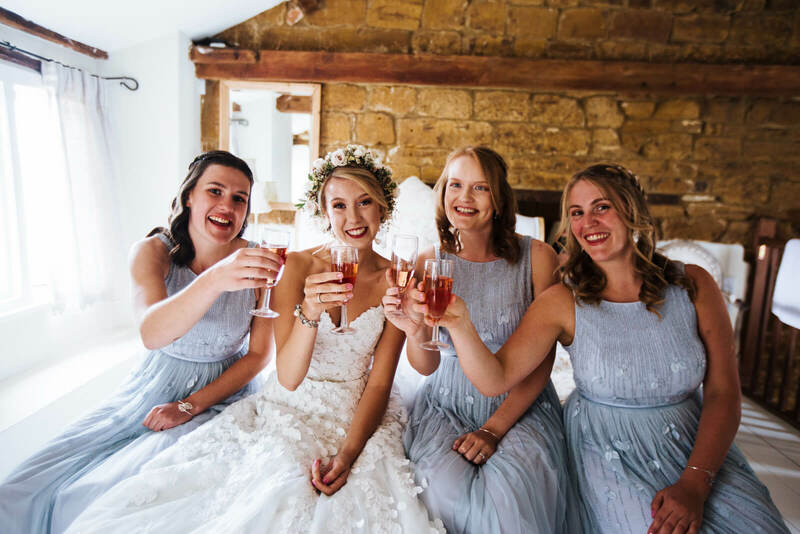 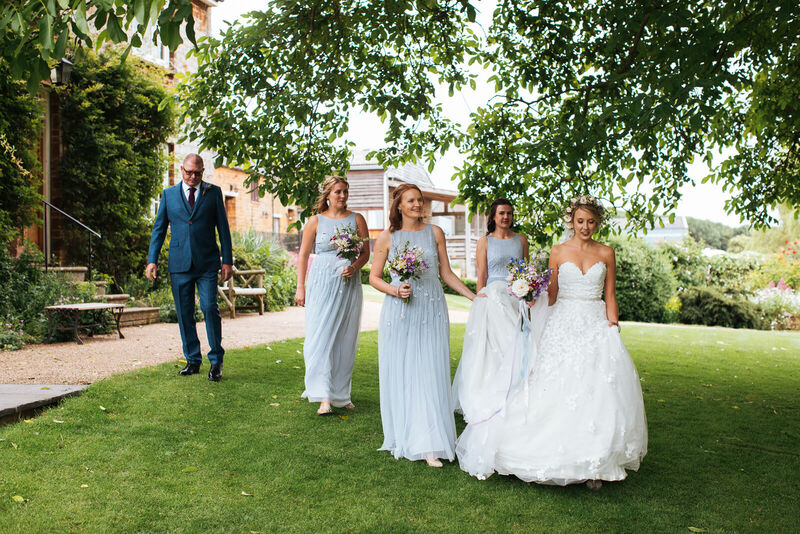 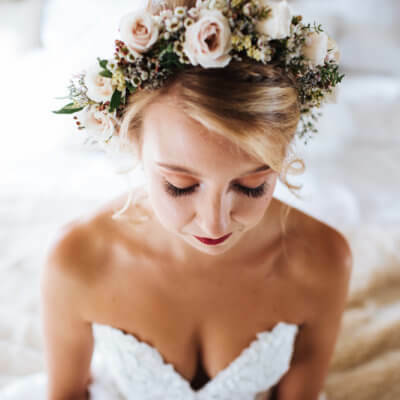 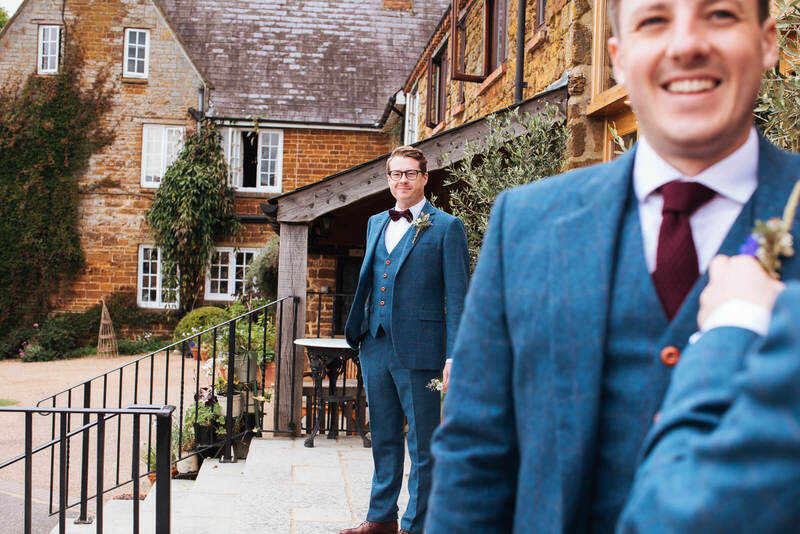 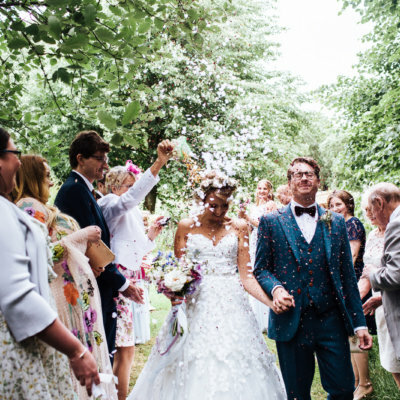 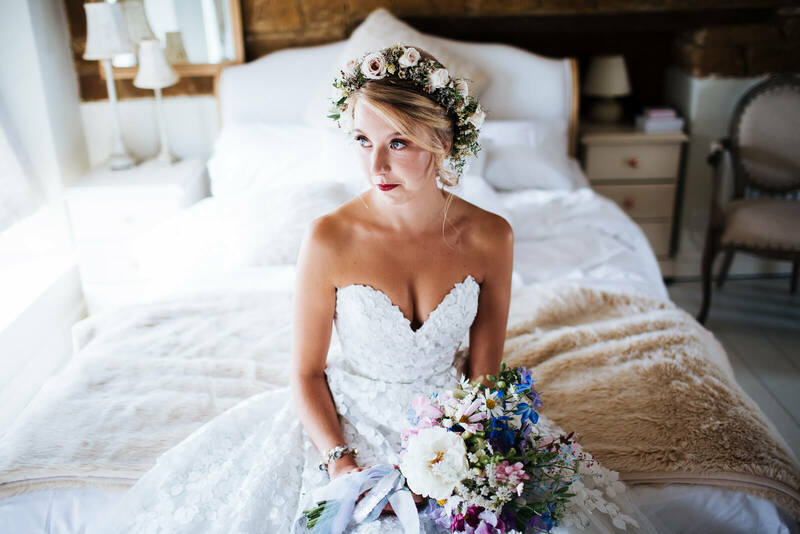 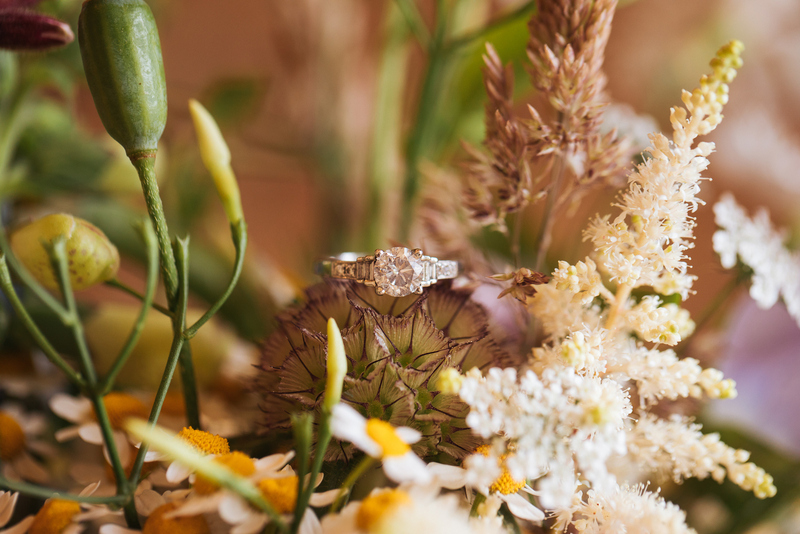 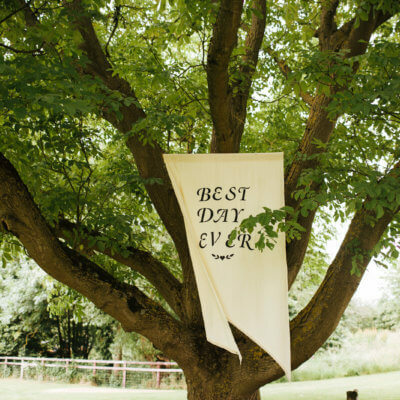 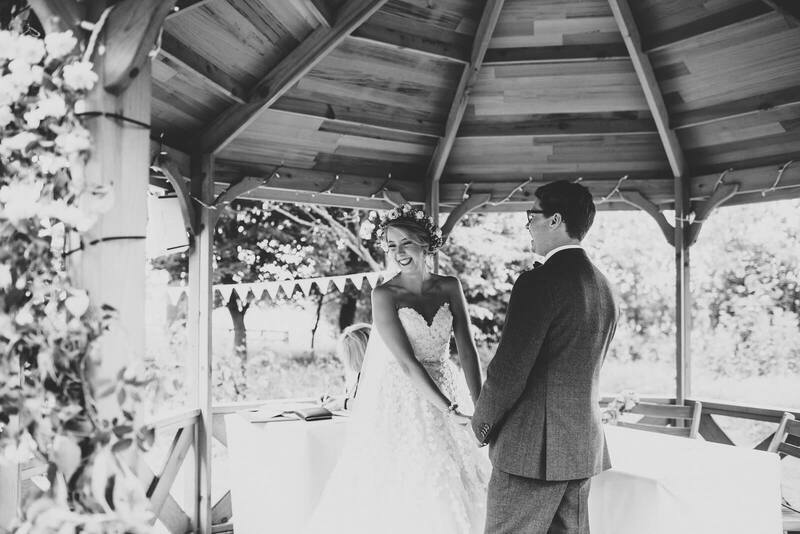 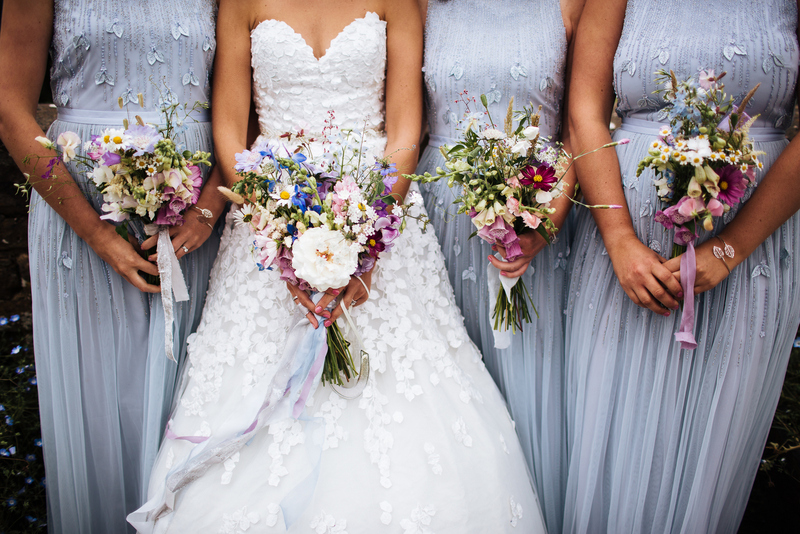 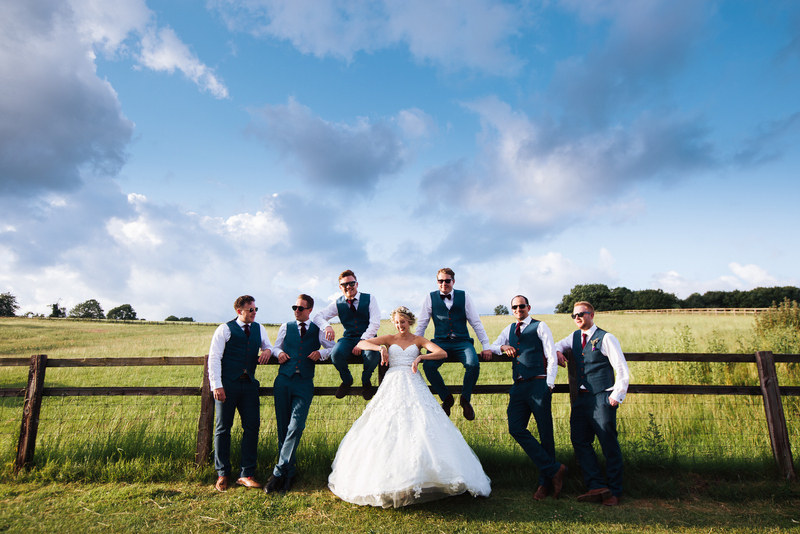 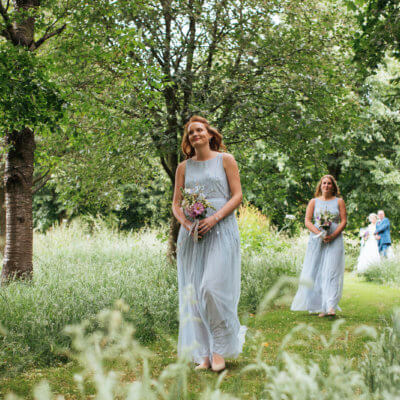 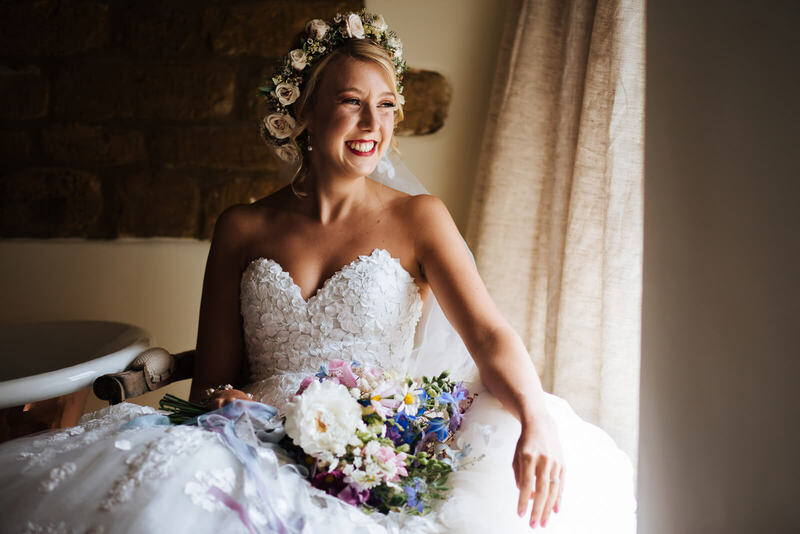 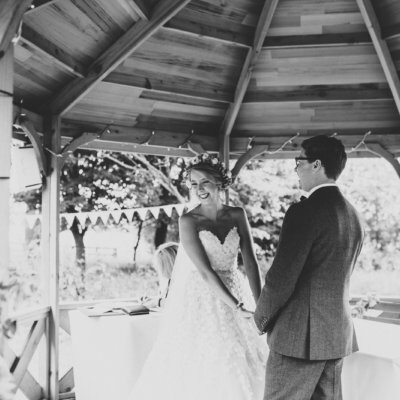 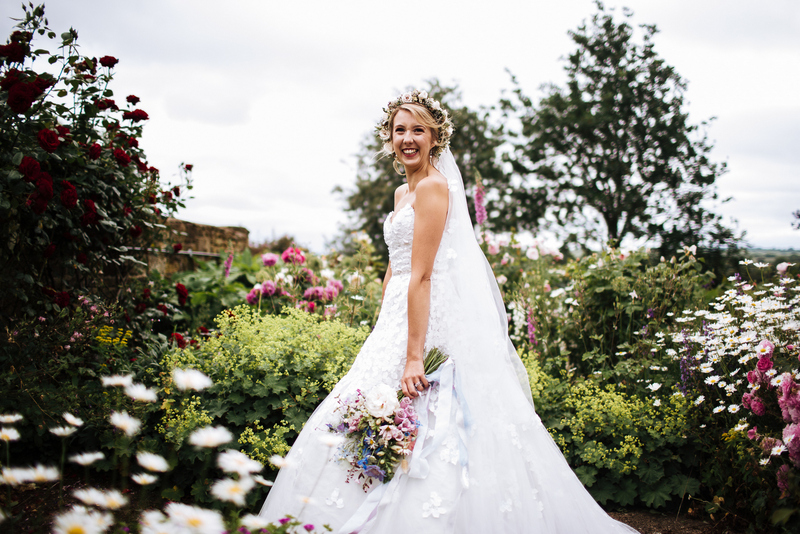 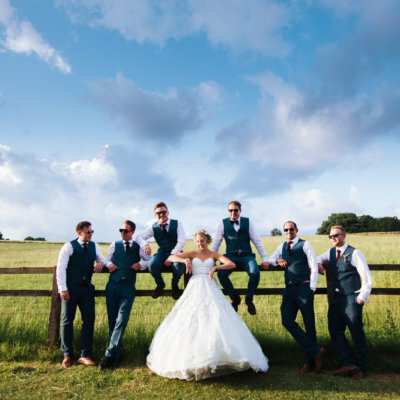 The couple both stayed at Crockwell the night before the wedding, and after breakfast in the farmhouse, the bride was helped into her dress from Fairy-tale Weddings bridal boutique in Towcester by her bridesmaids in the honeymoon cottage. 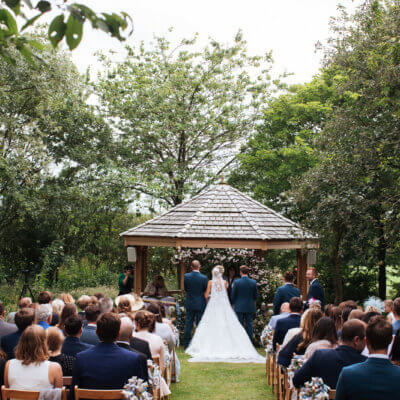 The wedding ceremony took place outside in the Orchard Pavillion. 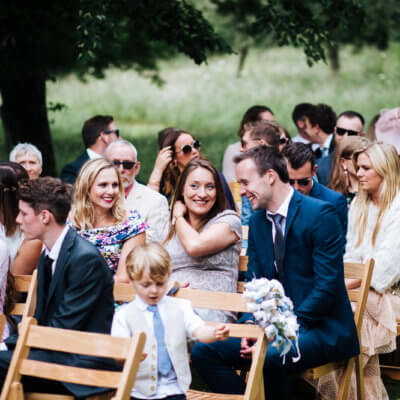 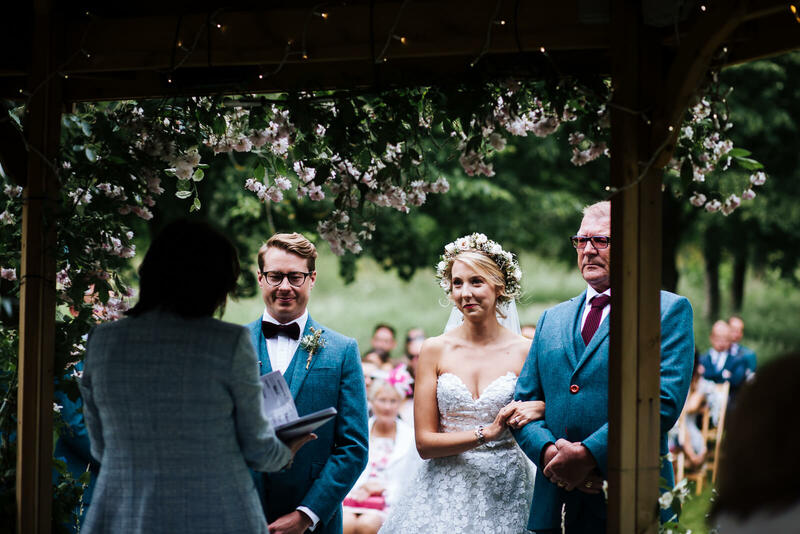 The wedding party were treated to music from Highly Strung string quartet, headed up by the groom’s sister which continued throughout the drinks reception of Pimm’s and lemonade and Prosecco. 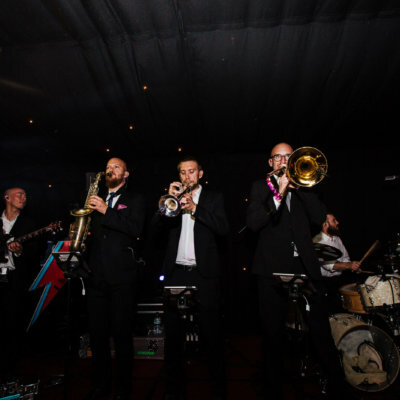 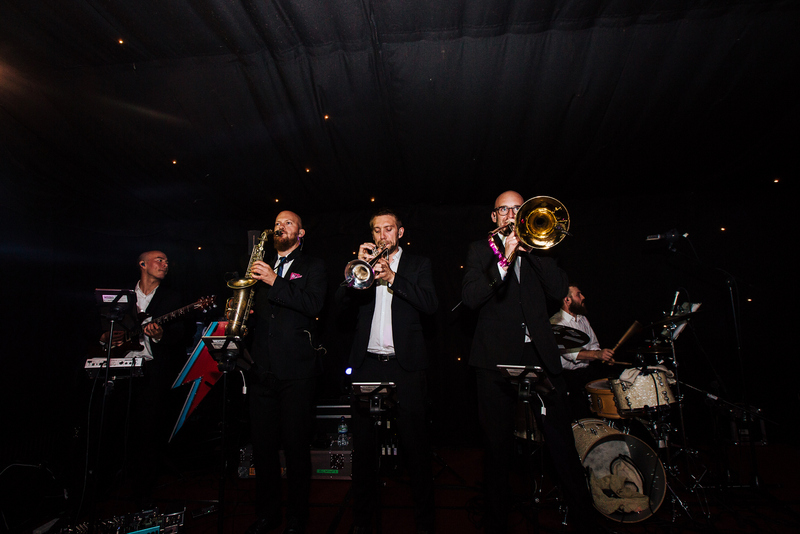 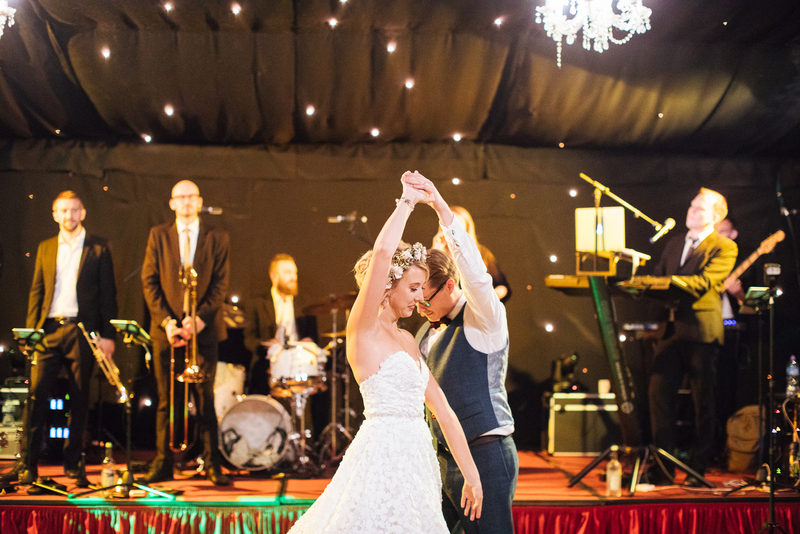 After a delicious wedding breakfast from the Chopping Block, the evening party kicked off in style with entertainment from highly recommended band, Pandora’s Jukebox. 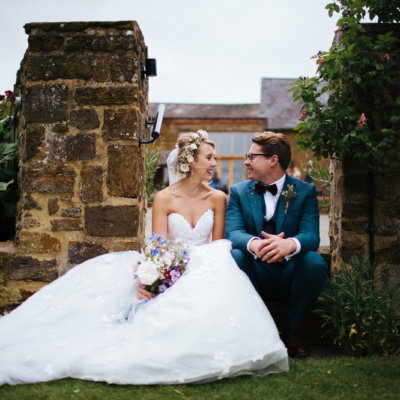 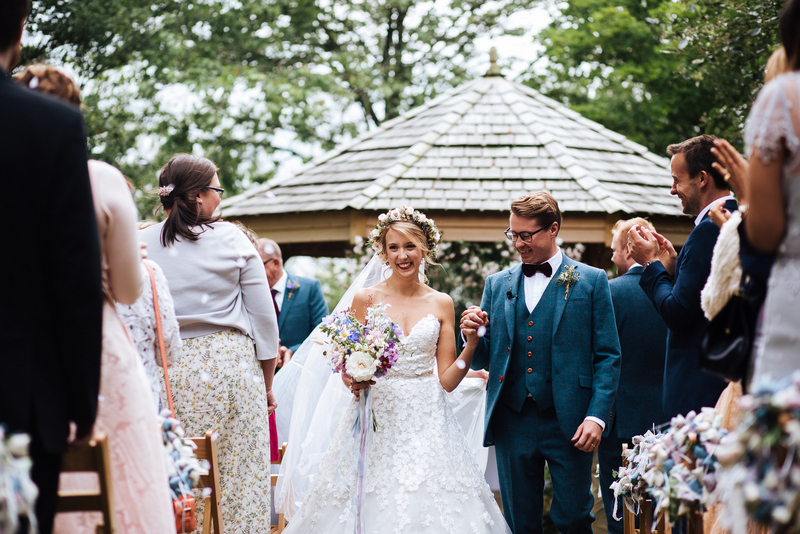 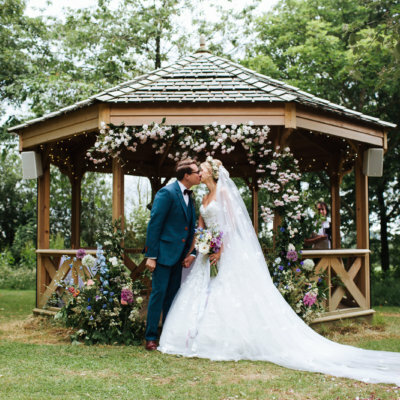 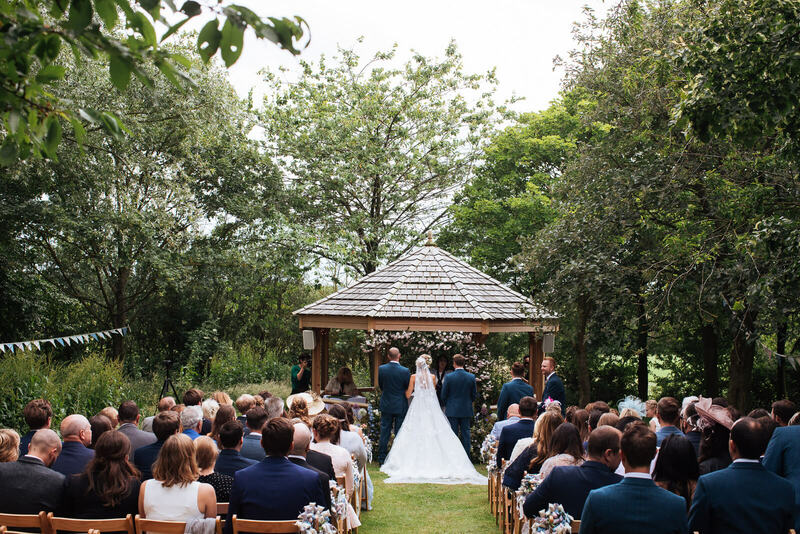 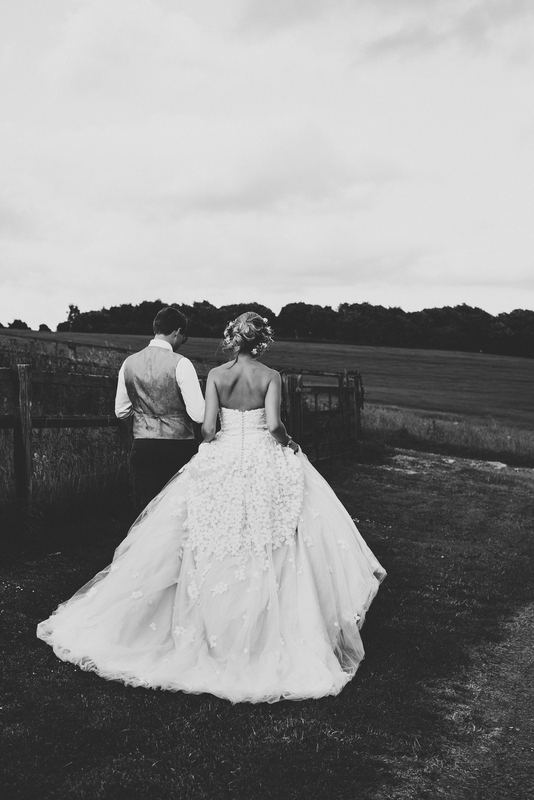 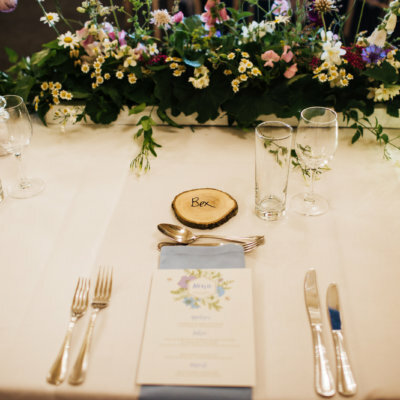 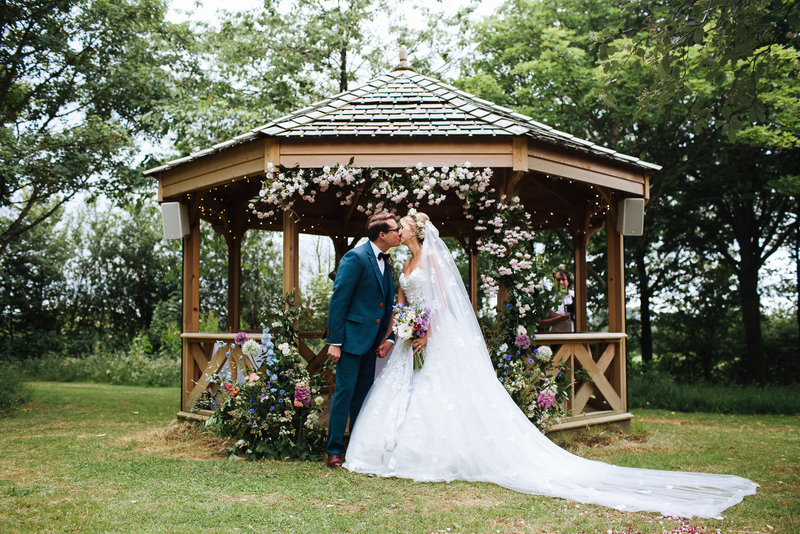 Thank you to Bex and Daniel for allowing us to share these images with you, and to photographer Kathryn Edwards who captured the day perfectly. 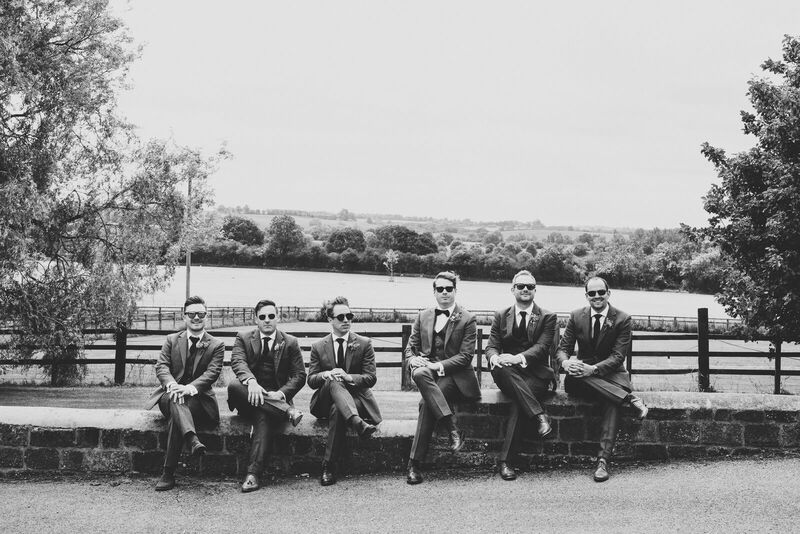 You can also view a short video of the day from Jason Lynch Weddings here.  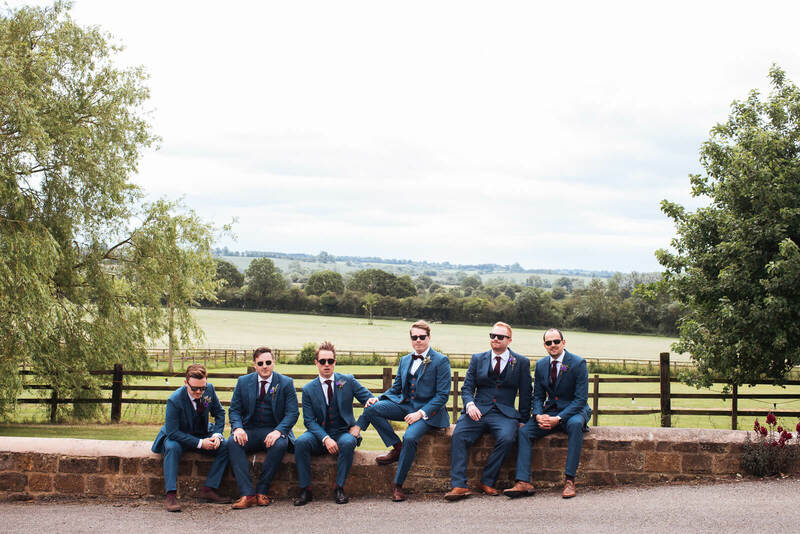 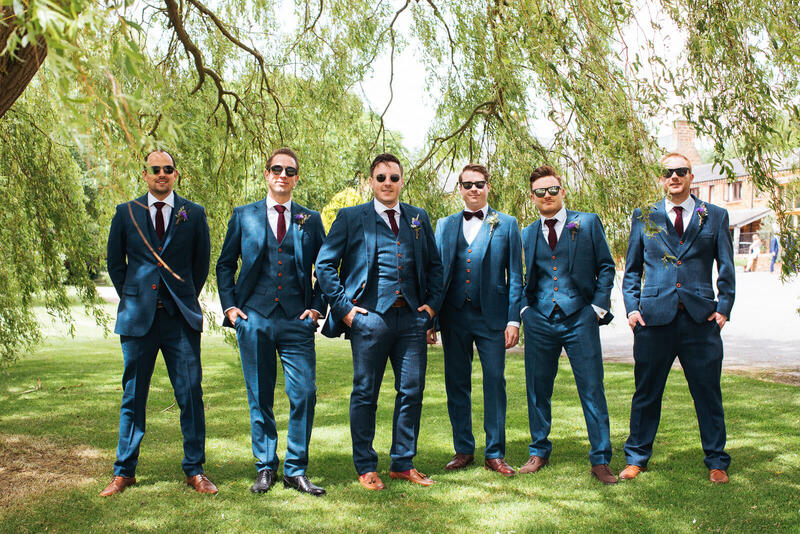 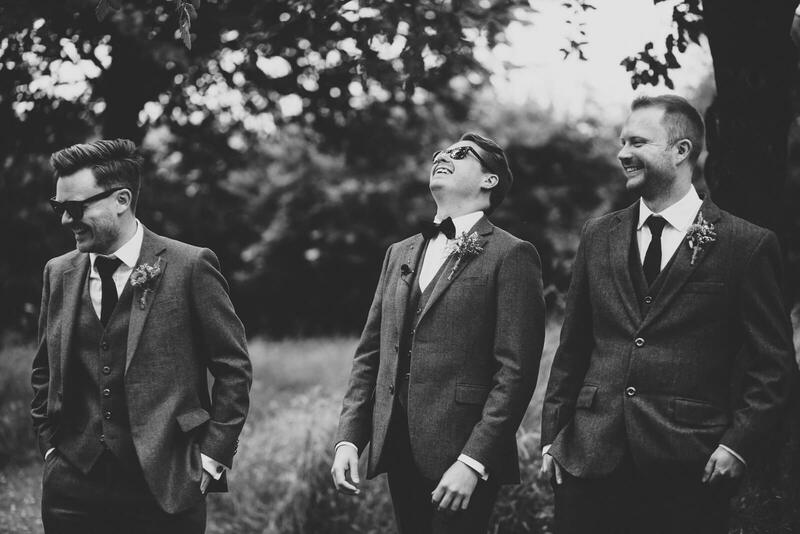 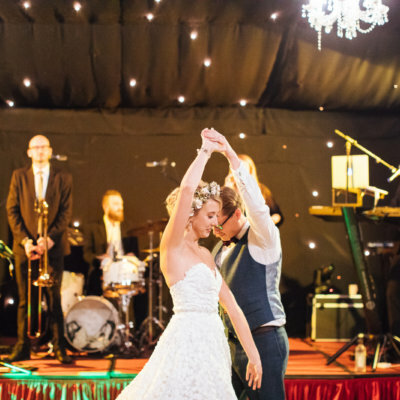 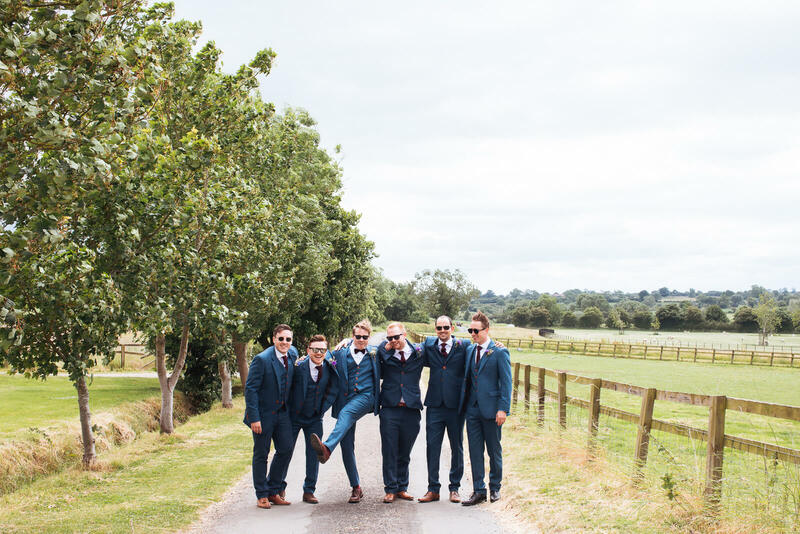 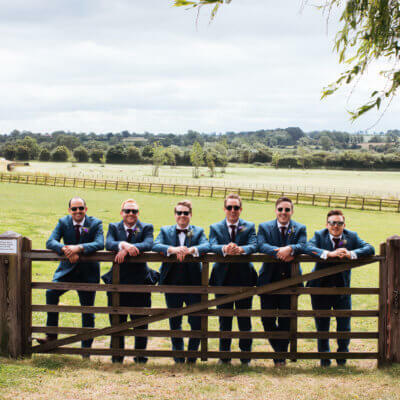 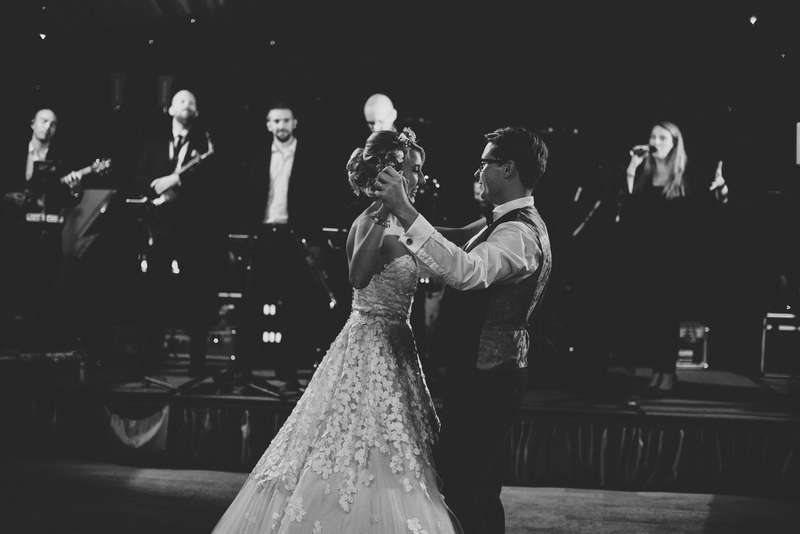 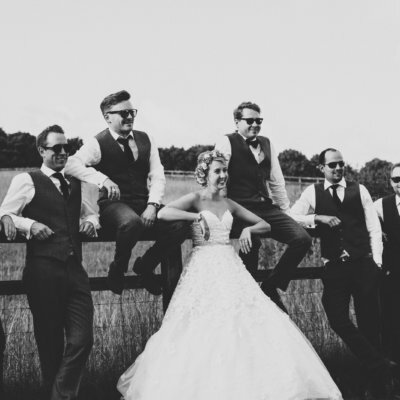 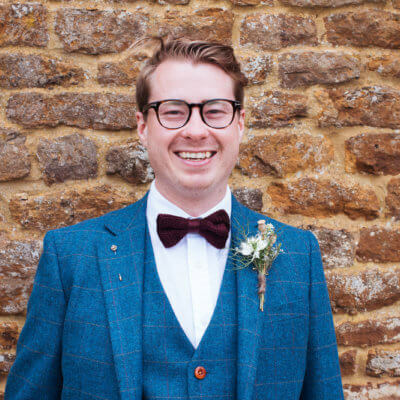 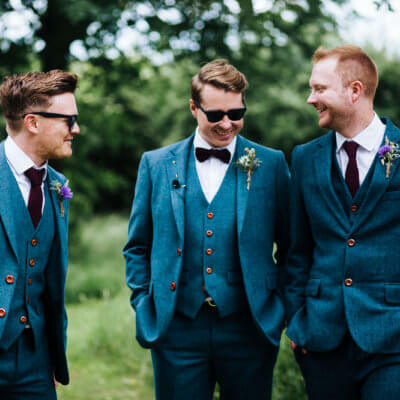 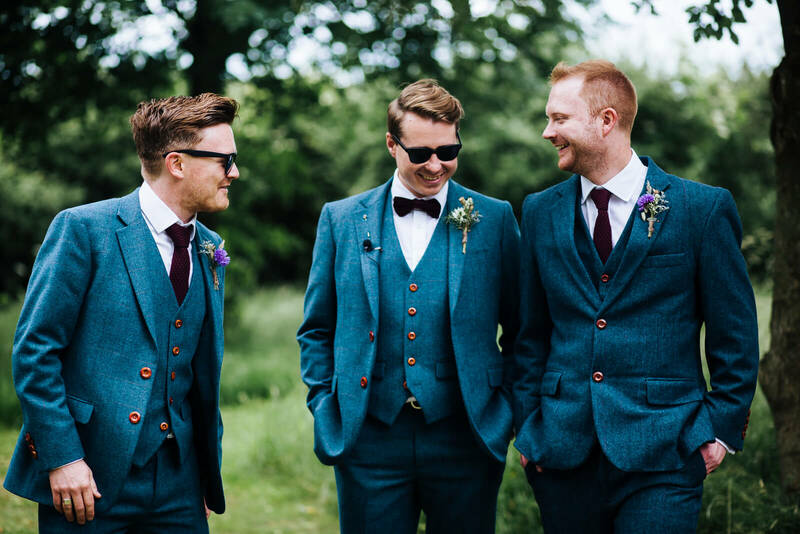 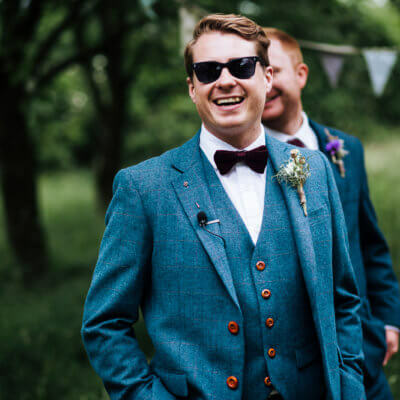 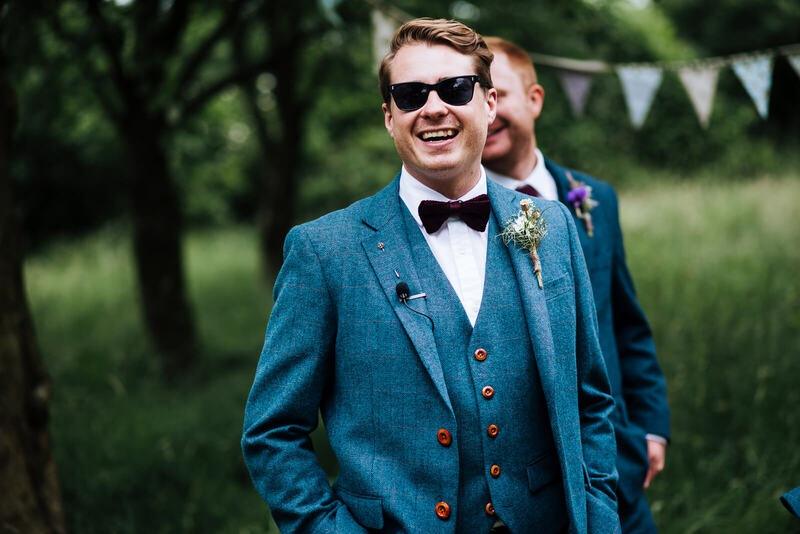 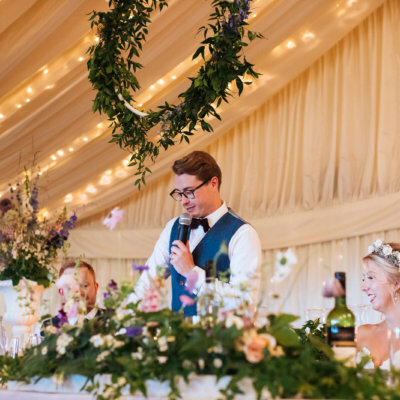 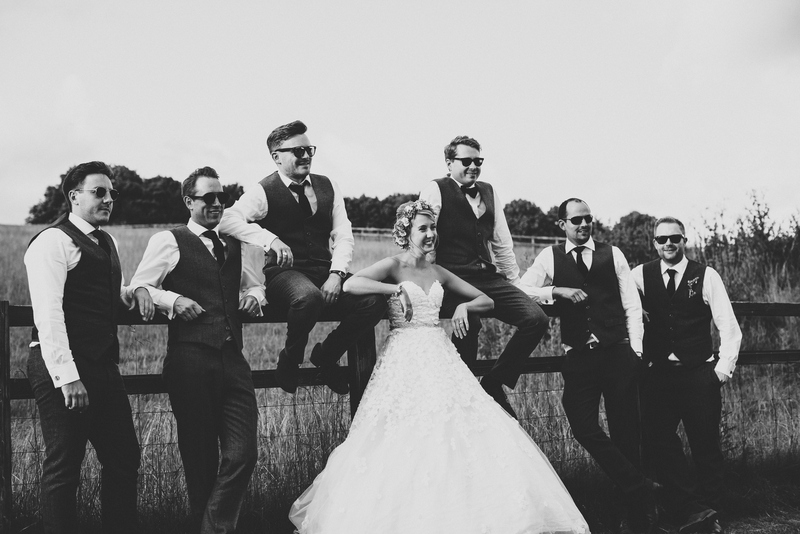 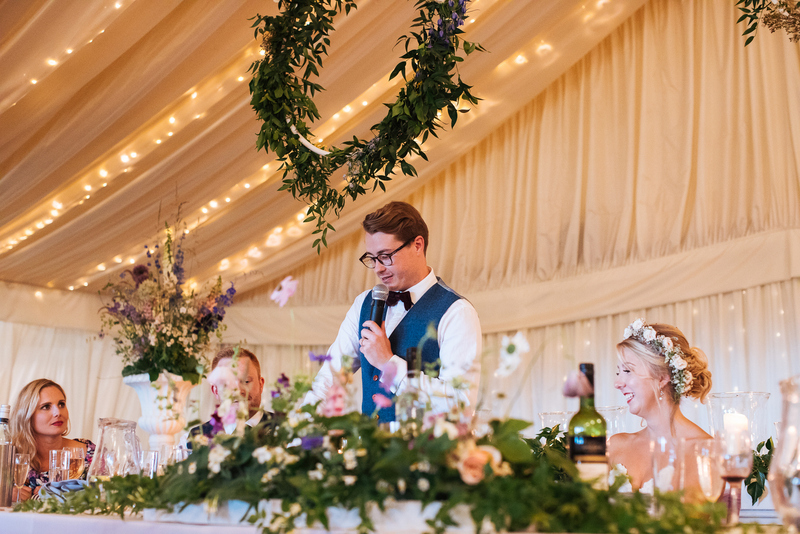 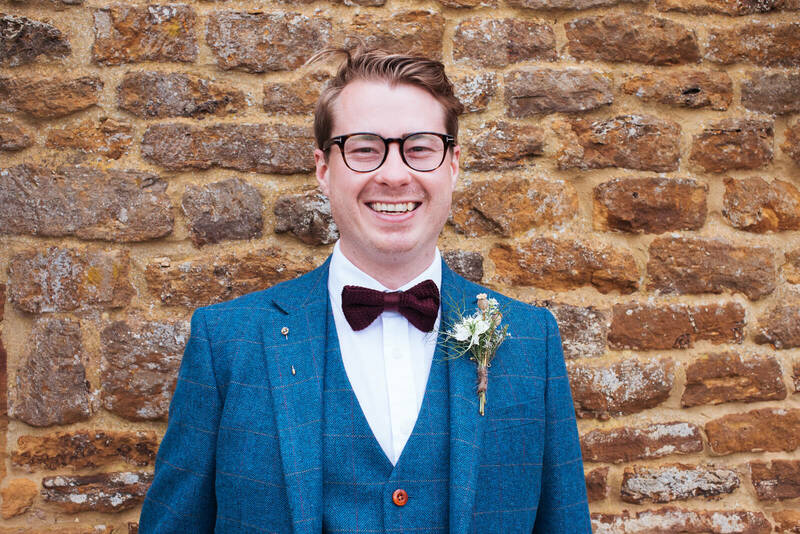 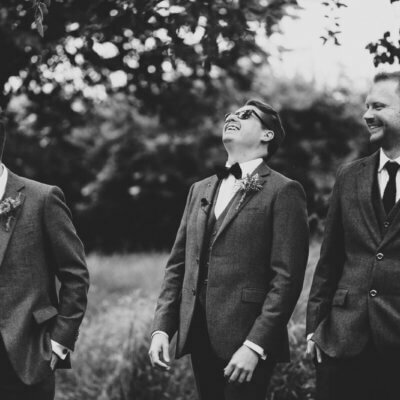 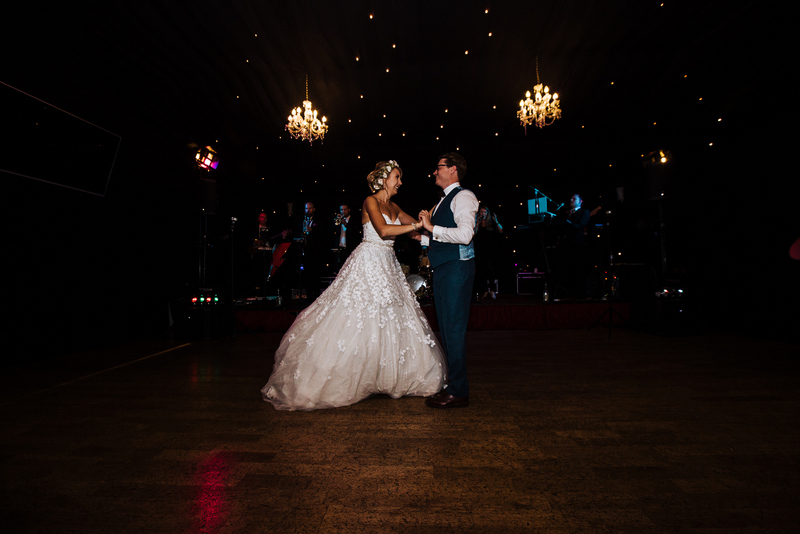 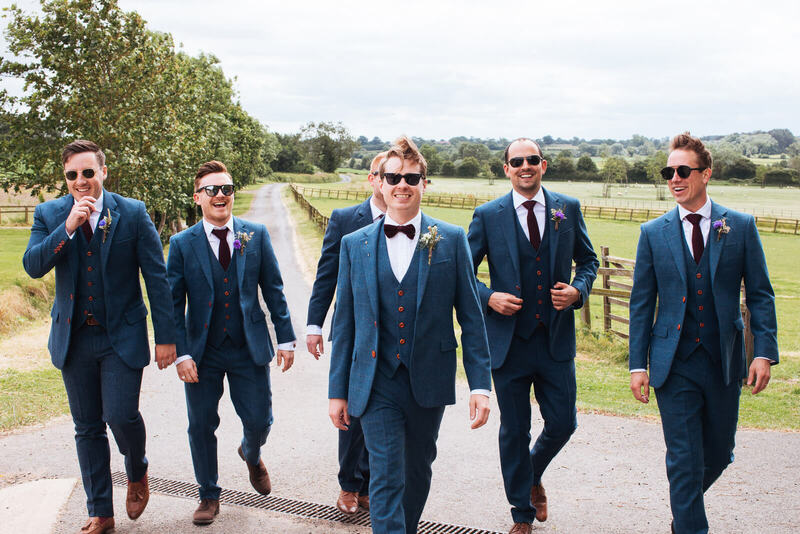 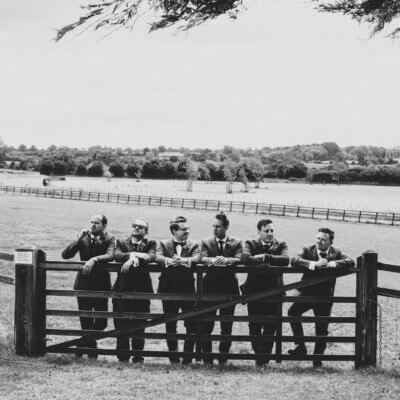 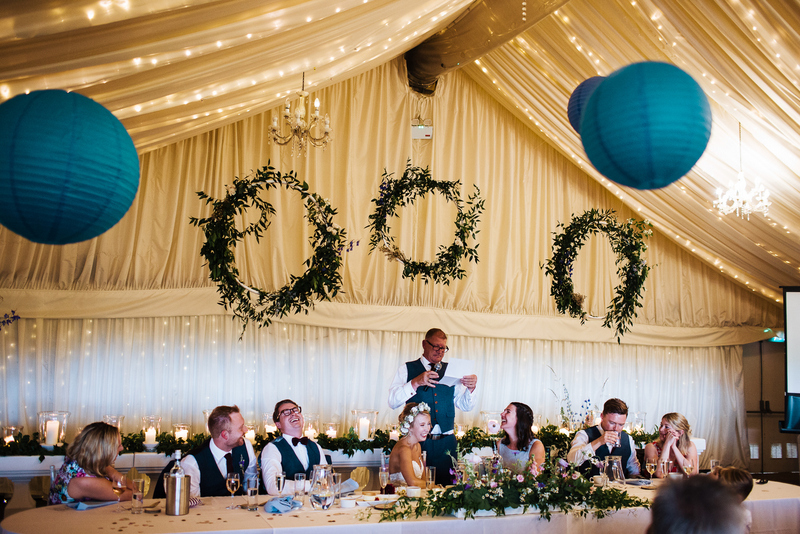 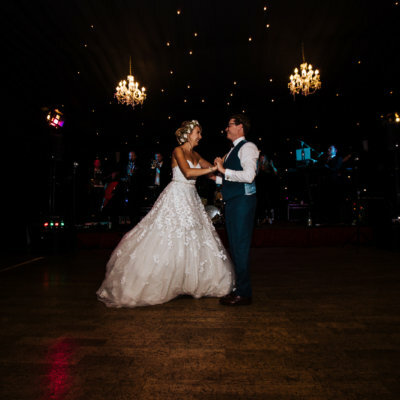 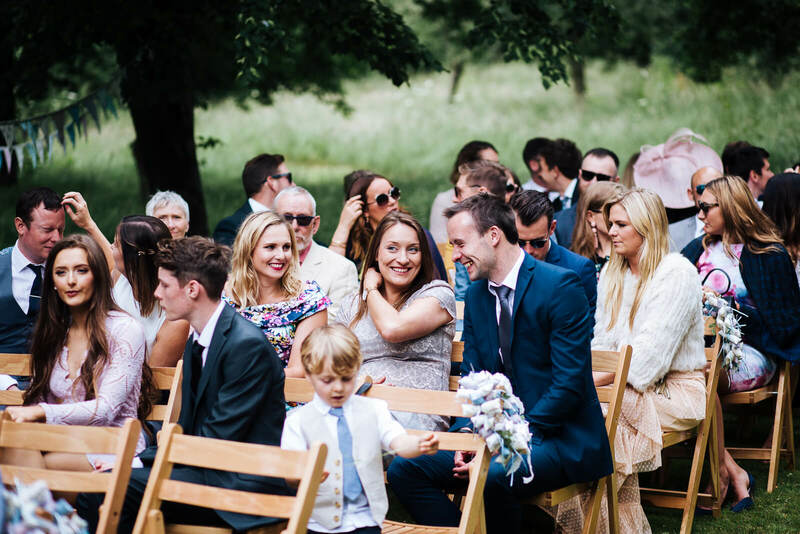 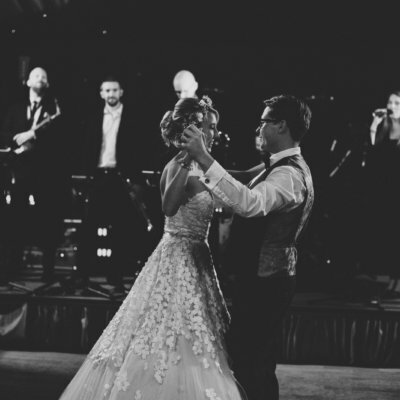 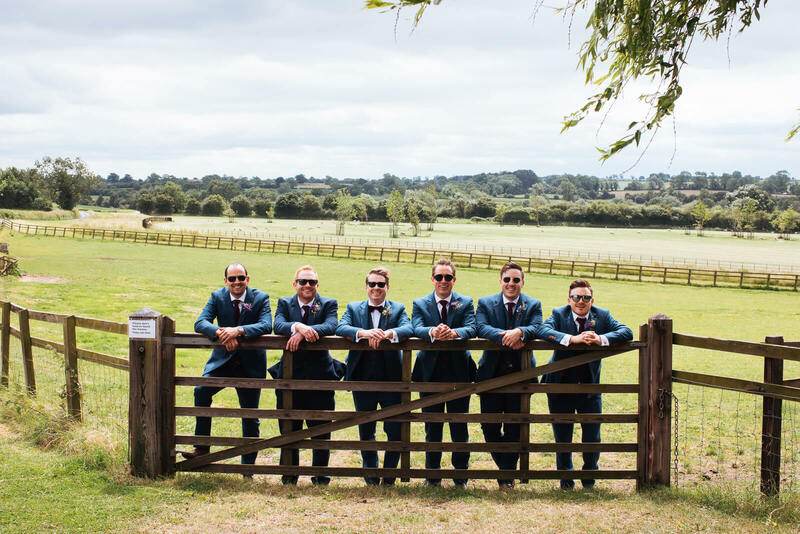 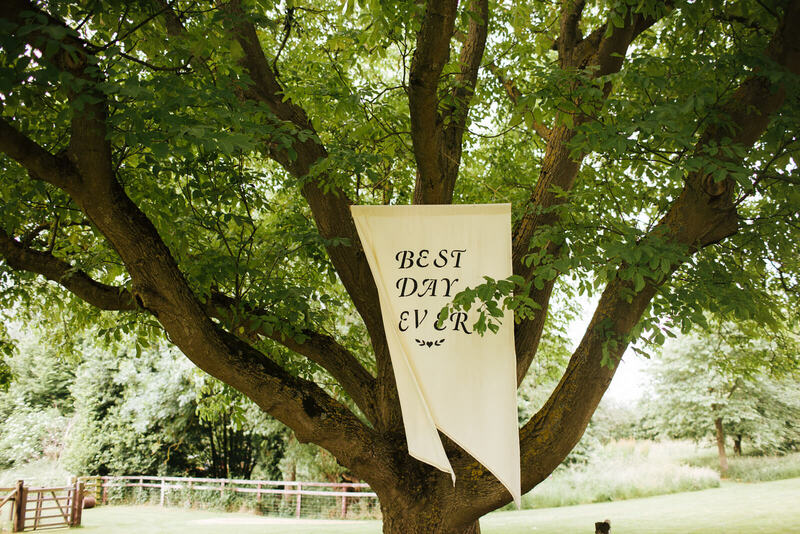 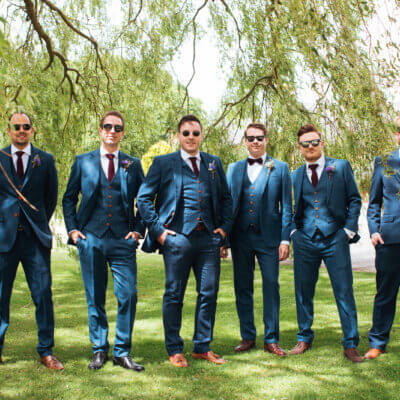 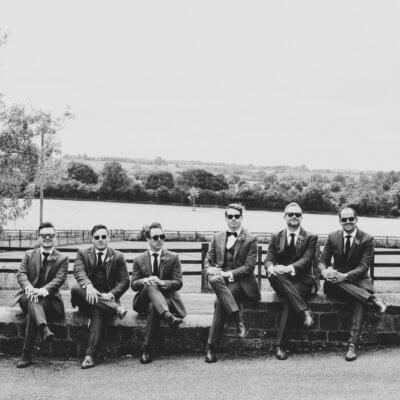 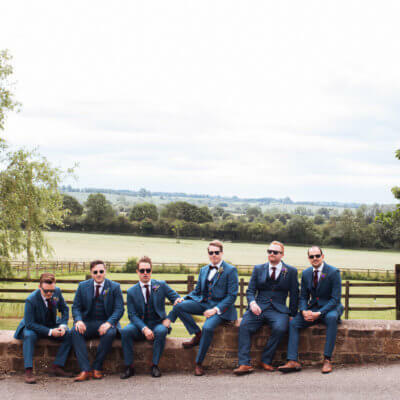 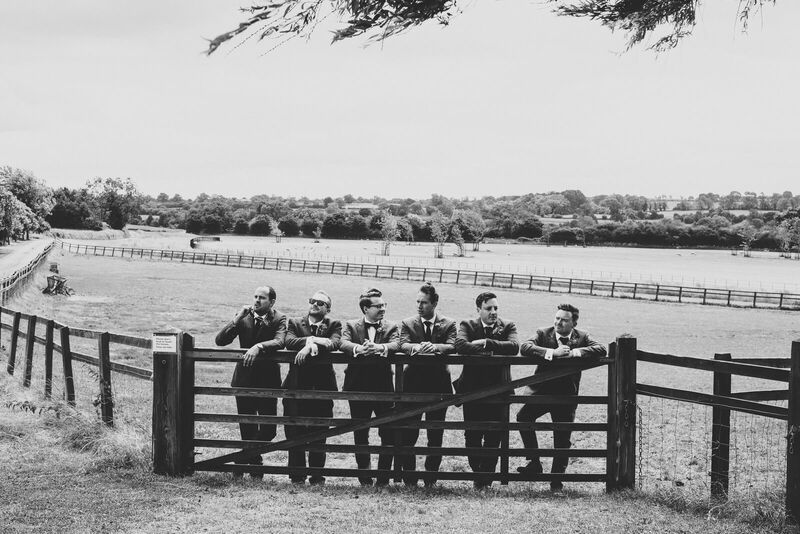 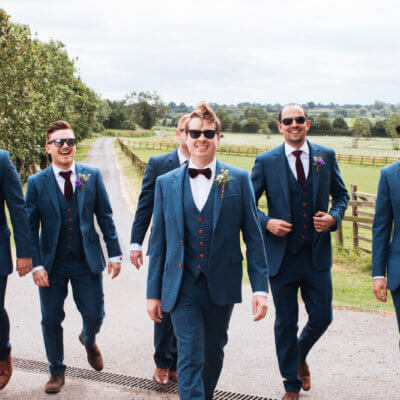 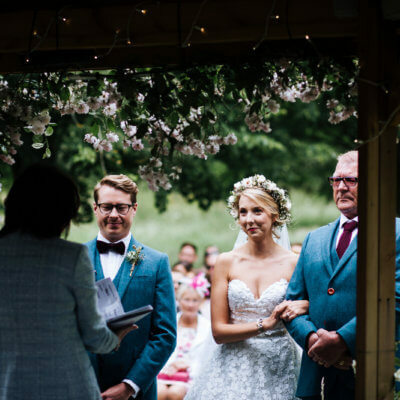 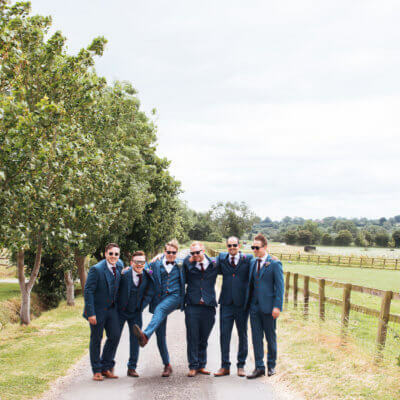 “Firstly, the team at Crockwell are truly amazing – the most professional, organised and fun people to have running your wedding. 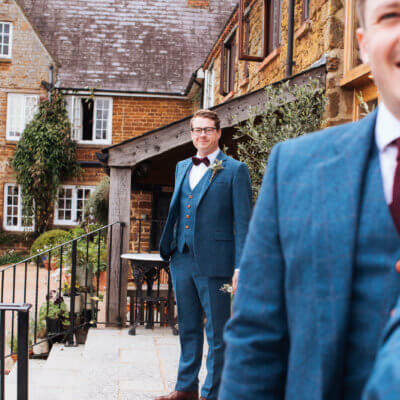 We can’t thank them enough for how much time and effort they put in to helping us plan our big day” You can read Bex & Dan’s full review here.